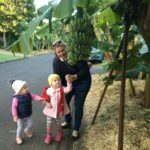 Sydney travel blog — The fullest Sydney city guide blog for a great trip to Sydney for the first-timers - Living + Nomads – Travel tips, Guides, News & Information! 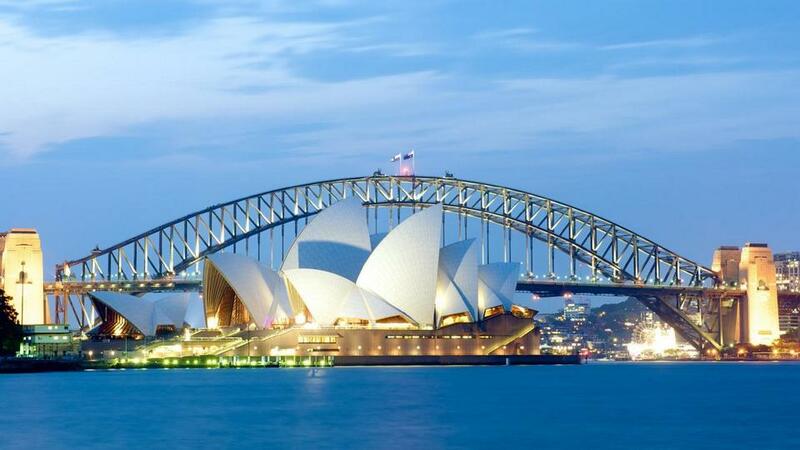 Sydney, the capital of New South Wales, is Australia’s oldest city. 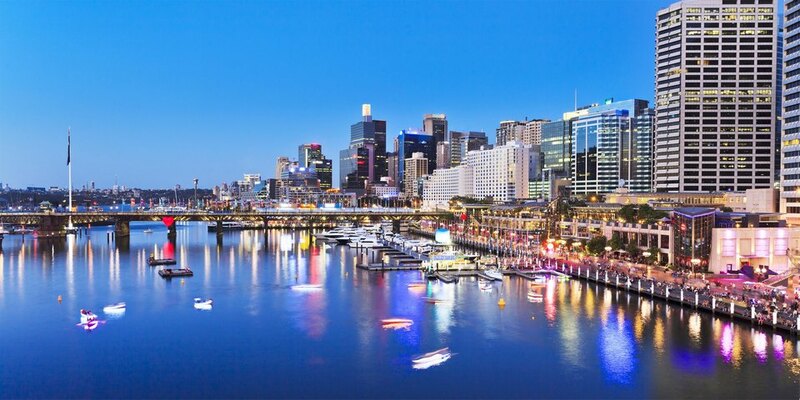 Although it is not the capital of Australia, it is always famous for its prosperity and civilization. 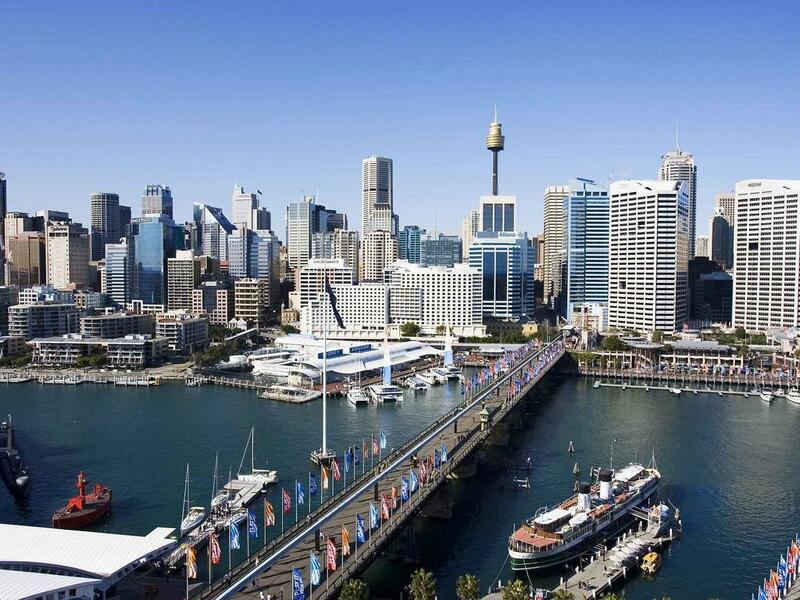 Sydney has been voted as one of the best and most beautiful tourist cities in the world for many years. 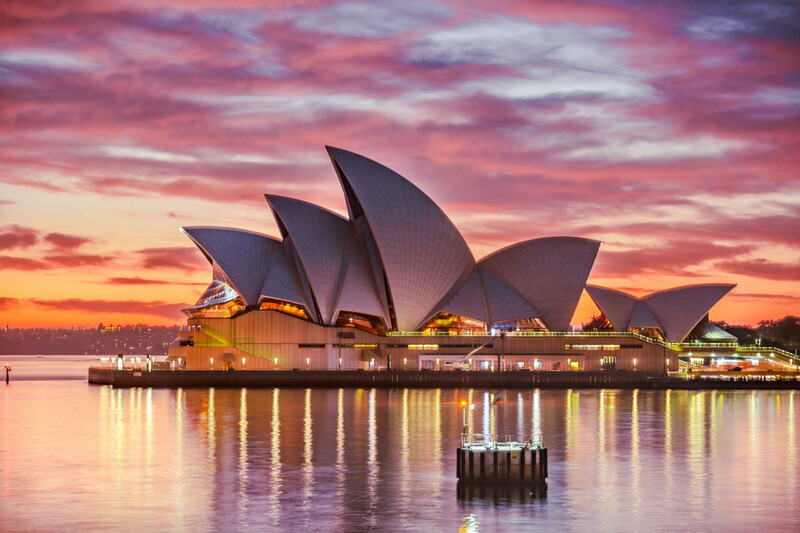 Visiting Sydney, you will be admired the famous architectural buildings in the world such as Sydney Opera House and Sydney Harbour Bridge. 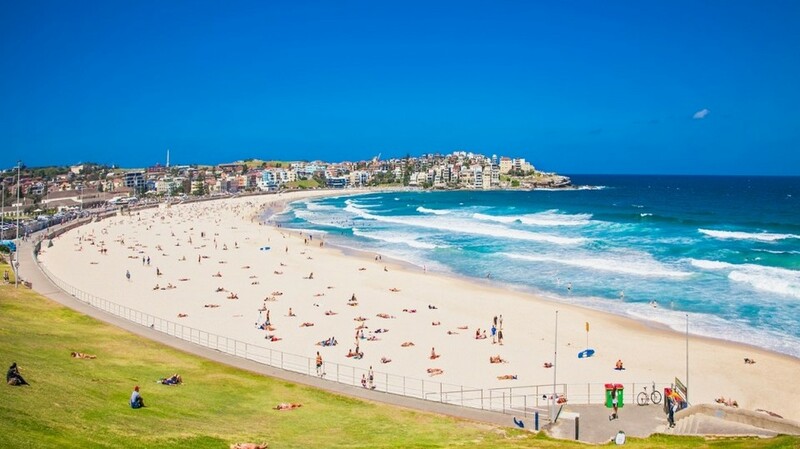 Not only that, you can also immerse yourself in the beautiful natural scenery here, especially are the sunny, brilliant and charming beaches. 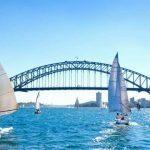 Now, let’s check it out our Sydney travel blog (Sydney Australia travel blog, Sydney Blog) — The fullest Sydney city guide and Sydney travel guide blog for a great trip to Sydney from how to get to Sydney, when is the best time to visit Sydney to best places to visit and top things to do in Sydney for the first-time below. 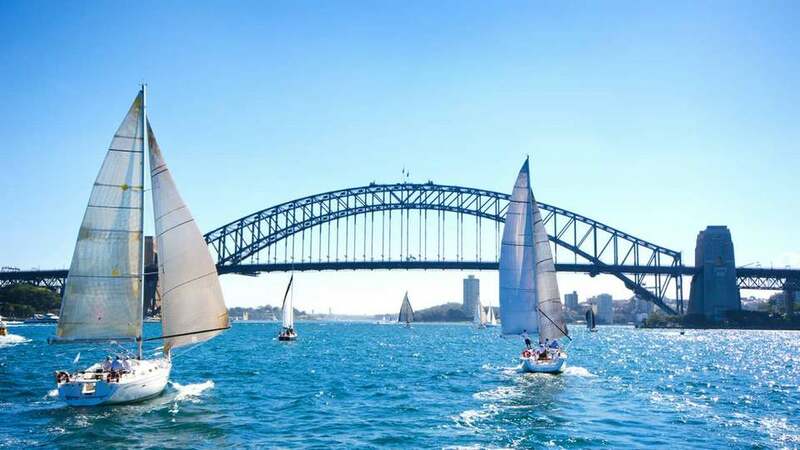 White sailboats in Sydney Harbour against clear blue sky. 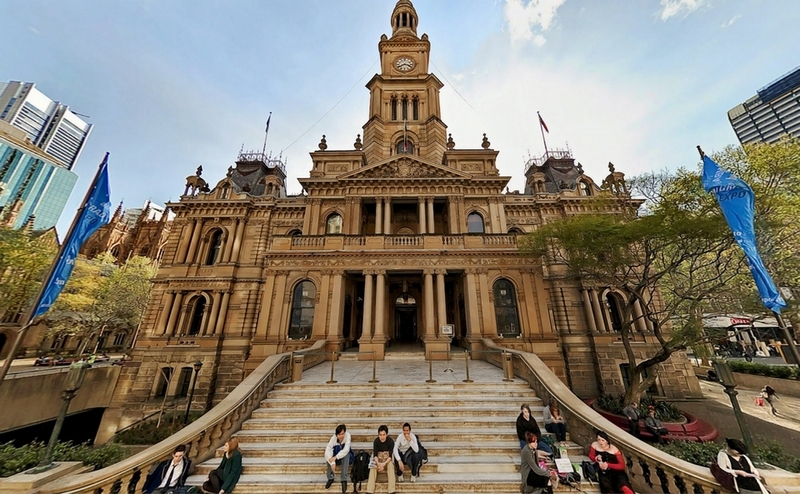 Picture: sydney city guide blog. 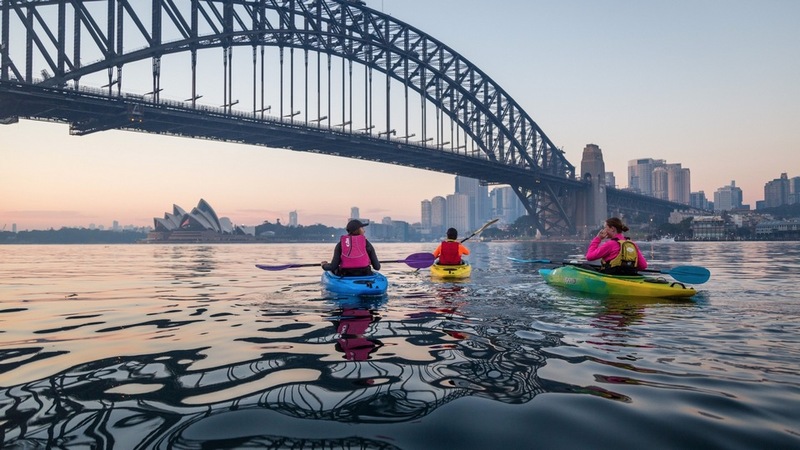 Kayaking in Sydney Harbour. 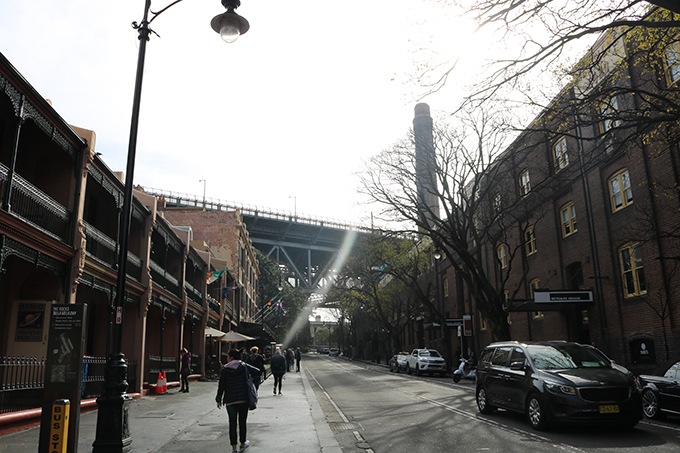 Photo: sydney blog. 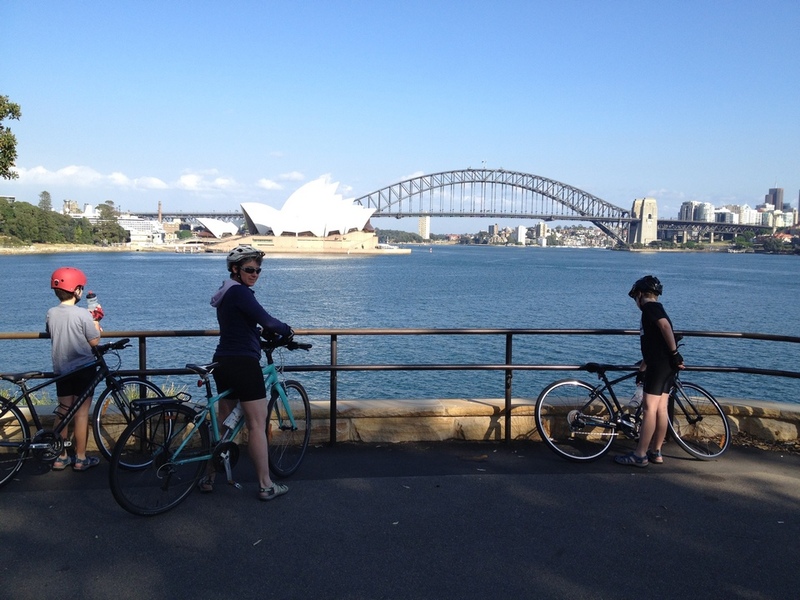 Cycling in Sydney. 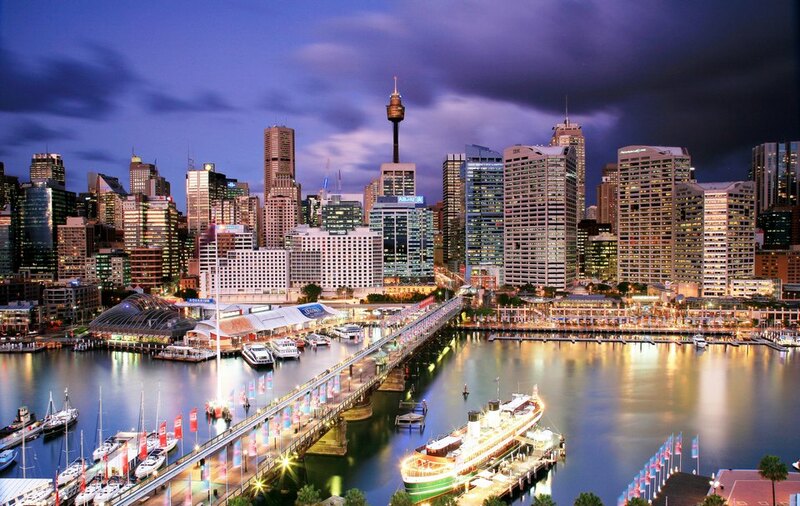 Picture: sydney australia travel blog. 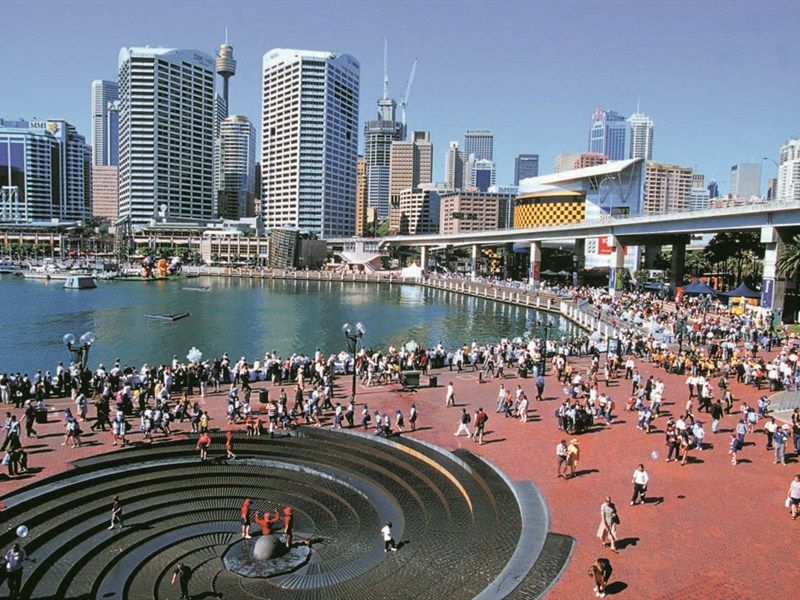 Visitors at Sydney Circular Quay, a major tourist attraction in Sydney. 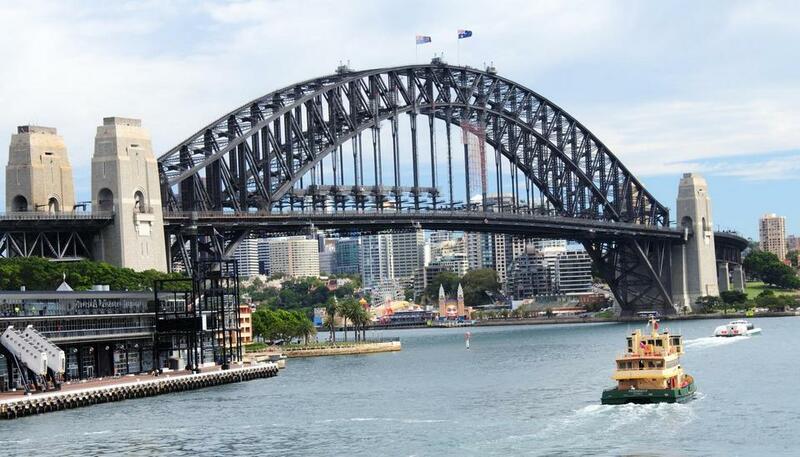 Credit: sydney travel blog. 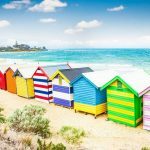 Sydney travel blog: When is the best time to visit Sydney? 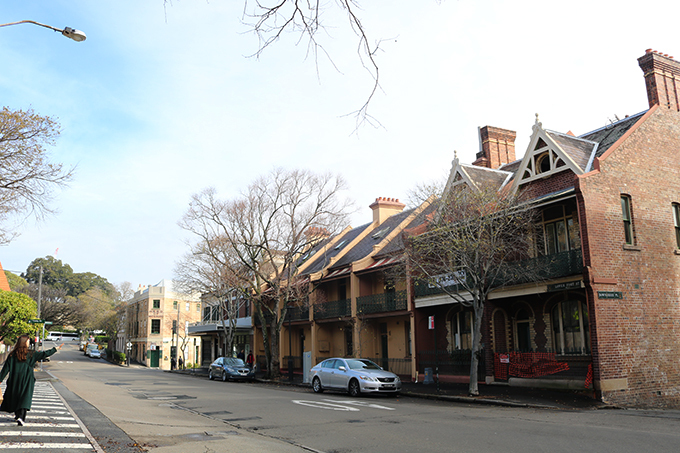 The climate here is quite mild, summer is not too hot, winter is not too cold, suitable for traveling all year round. 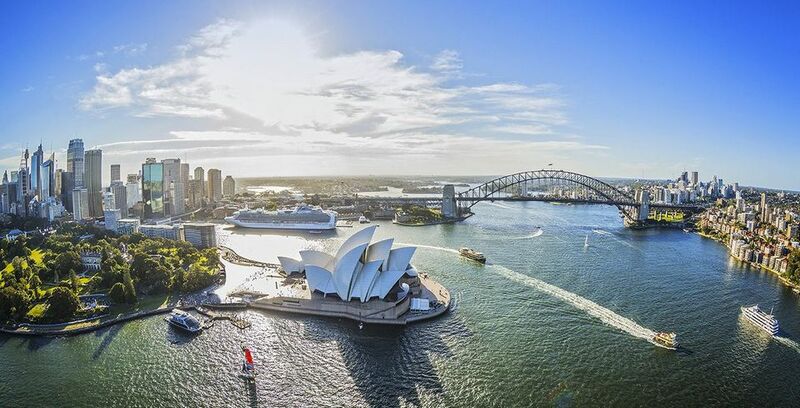 You can visiting Sydney at any time of the year. 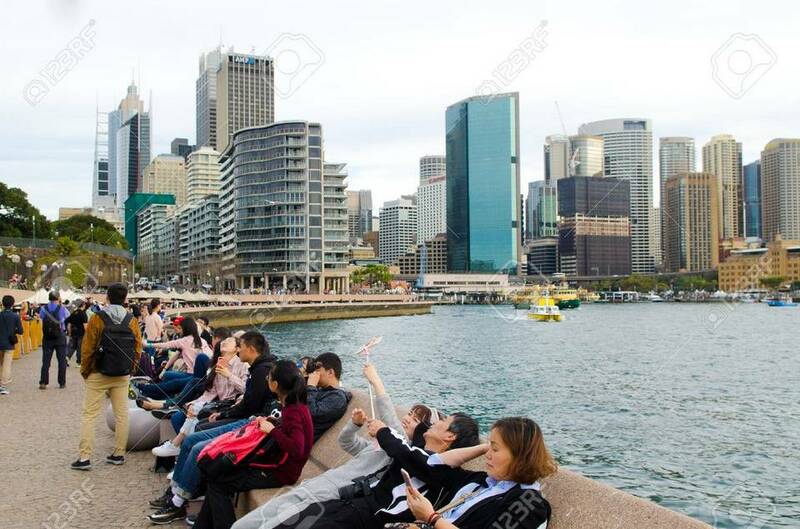 One thing to note is that the city is located in the Southern Hemisphere, which will have a different season compared to other countries in the Northern Hemisphere like Vietnam. If you come in the spring, from September to November, you will be immersed in colorful flowers. 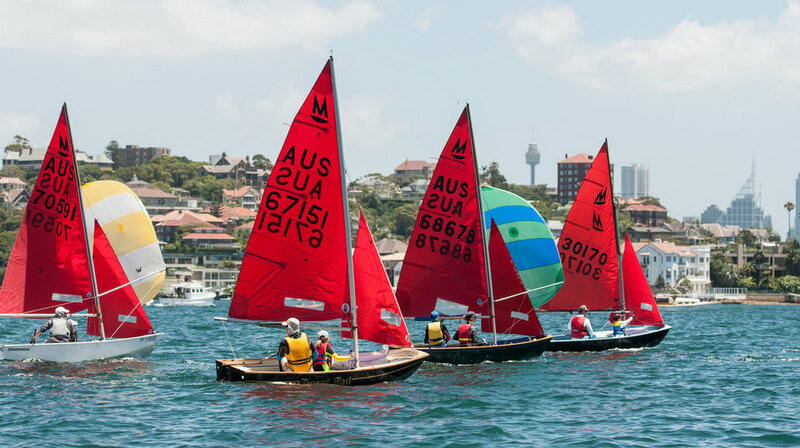 In summer, from December to February, when the Northern Hemisphere is sinking in the cold winter, Sydney has bright yellow sunshine and is suitable for sea tourism activities. 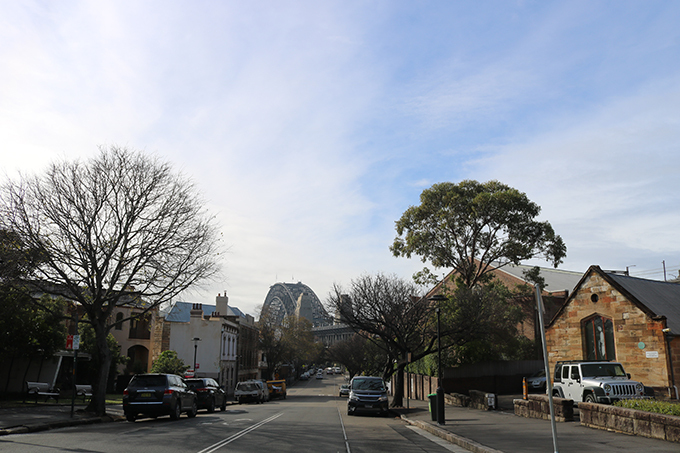 If you travel to Sydney in the fall, from March to May, you can see the yellow and red leaves of the city. 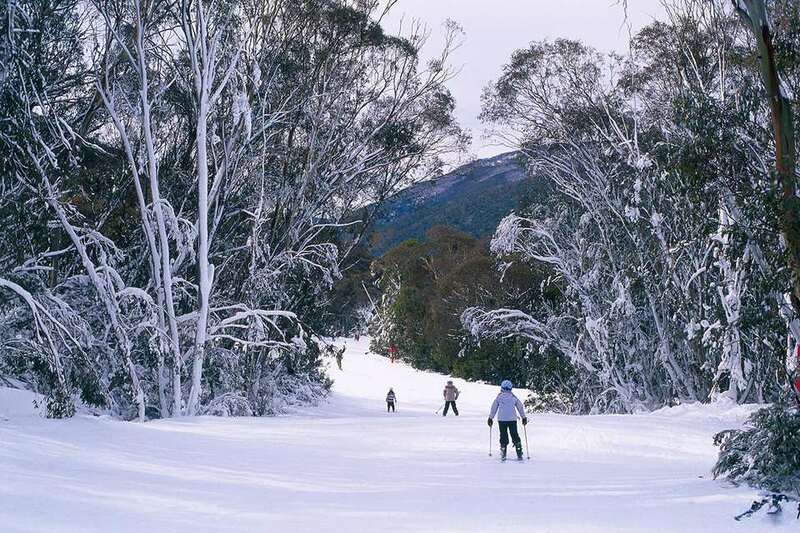 Although snow is rare, but the winter in this port city, from June to August, is also great for you to experience and explore. 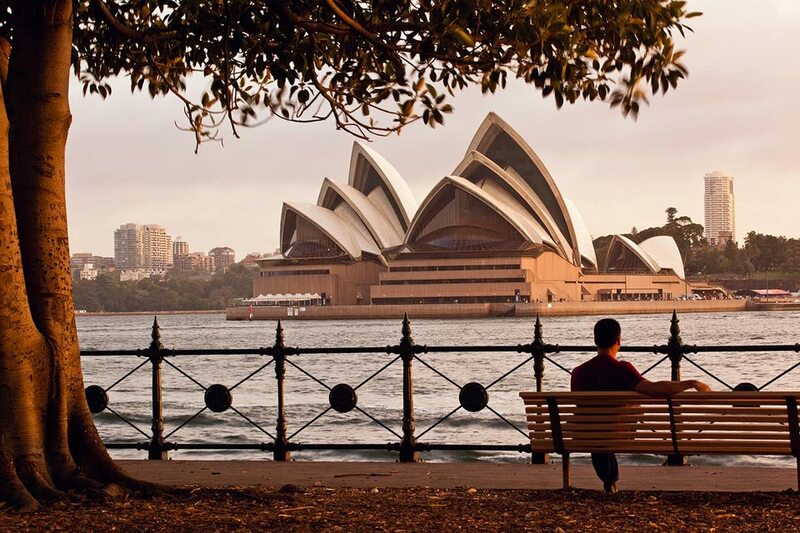 Sydney in Autumn. 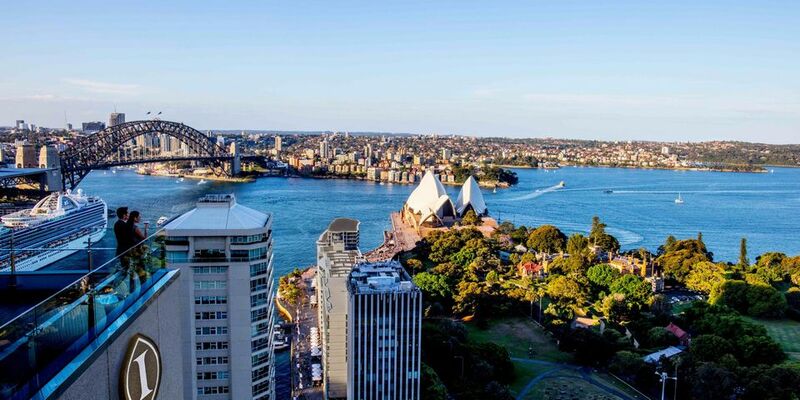 View from InterContinental Sydney. 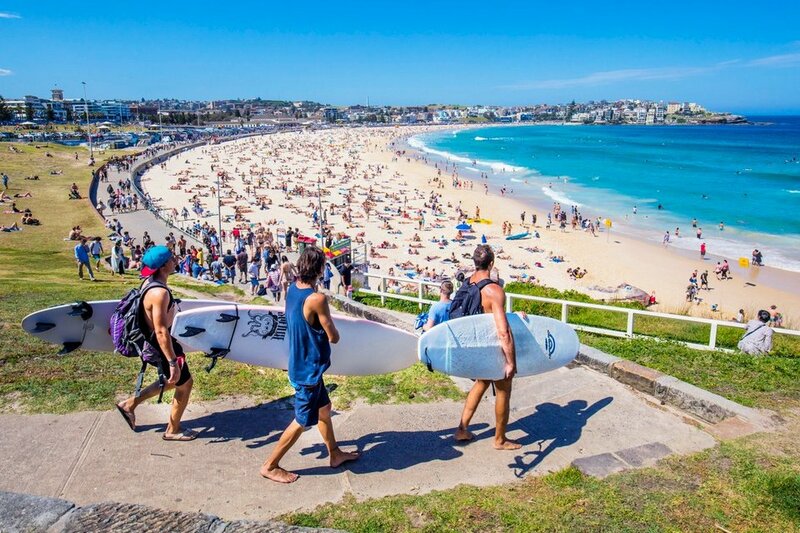 Bondi beach, one of the best beach in the world. 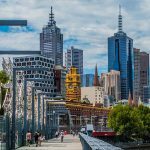 Sydney travel blog: How to get to Sydney from Vietnam? If you depart from Hanoi, it will take you about 12 hours to reach Sydney and the reference price is about $301.48 to $473.75. 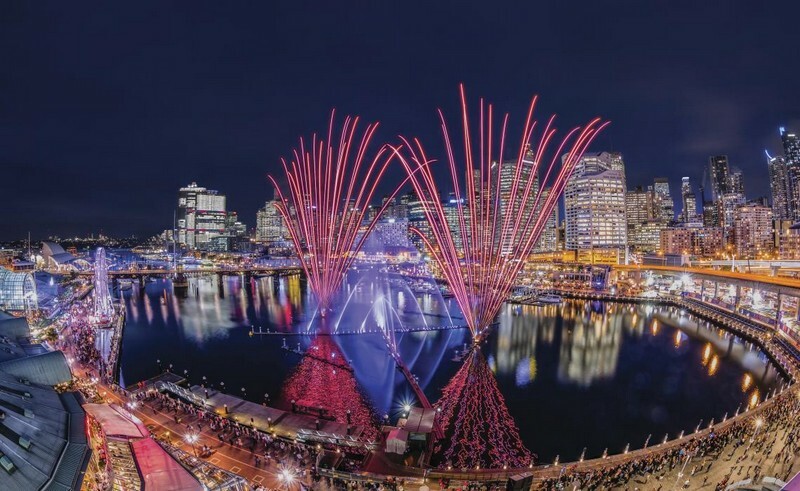 If you depart from Ho Chi Minh City, it only takes 8 hours and the reference price for Ho Chi Minh City – Sydney flight is from $258.48 – $495.41. 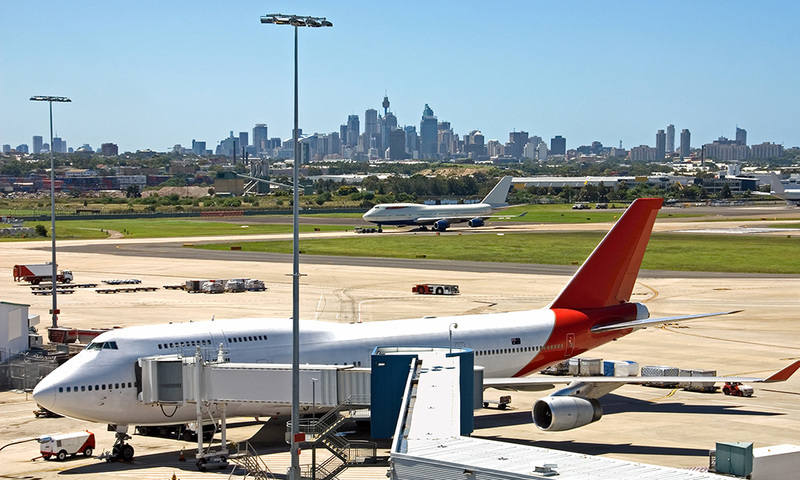 Sydney Airport. 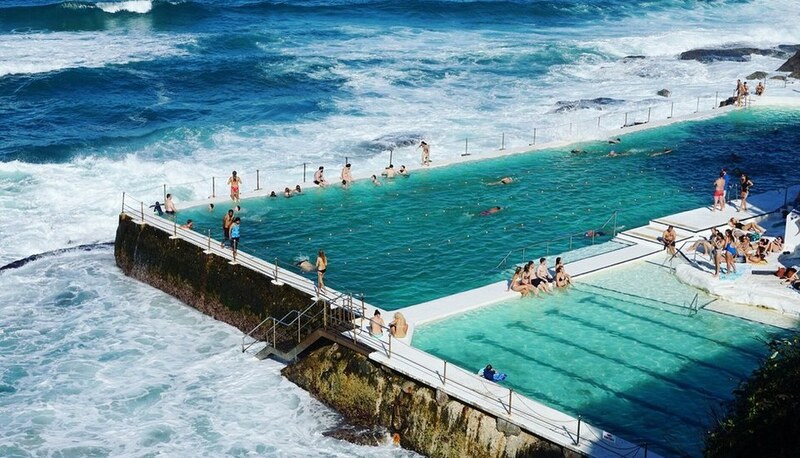 Credit: sydney blog. In Sydney, you should travel by metro or bus because these two vehicles have detailed instructions in English that are easy to understand. 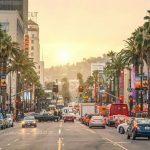 In addition, you can also refer to the “hop on hop off” tour bus with an unlimited number of up and down times, as long as the ticket is in the time package you purchased. 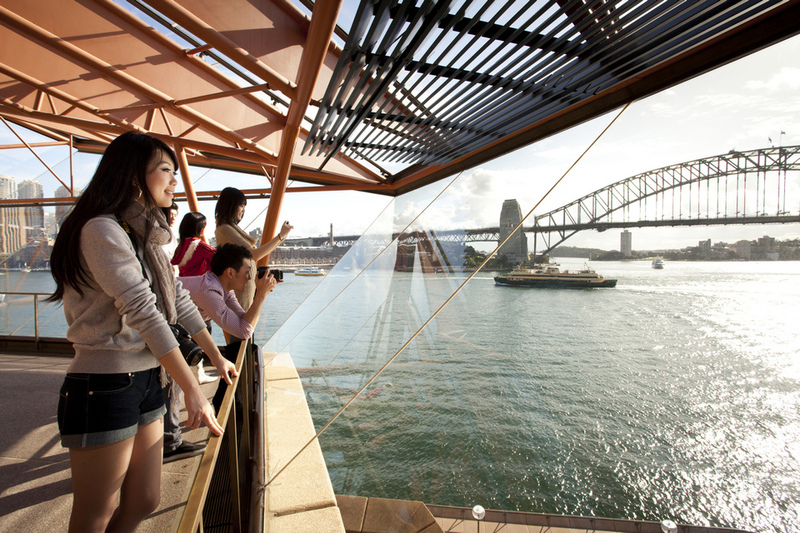 With Sydney’s Hop-On / Off Bus, you can visit 30 major tourist attractions in Sydney for AU$35 (US$25.15). 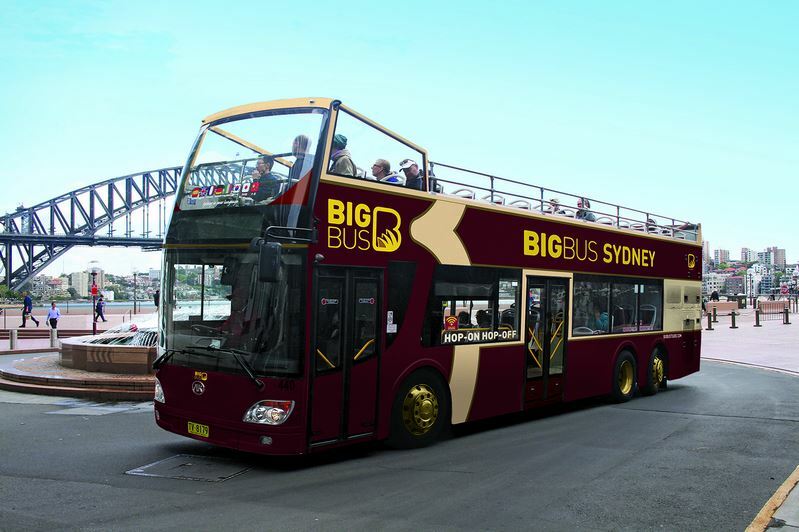 Sydney hop on/hop off bus tour. 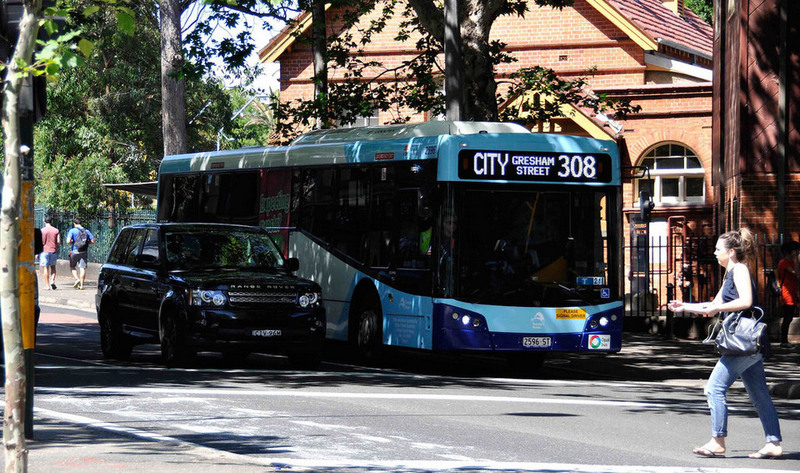 Bus: The bus system in Sydney is very developed, there are many firms and many different routes. 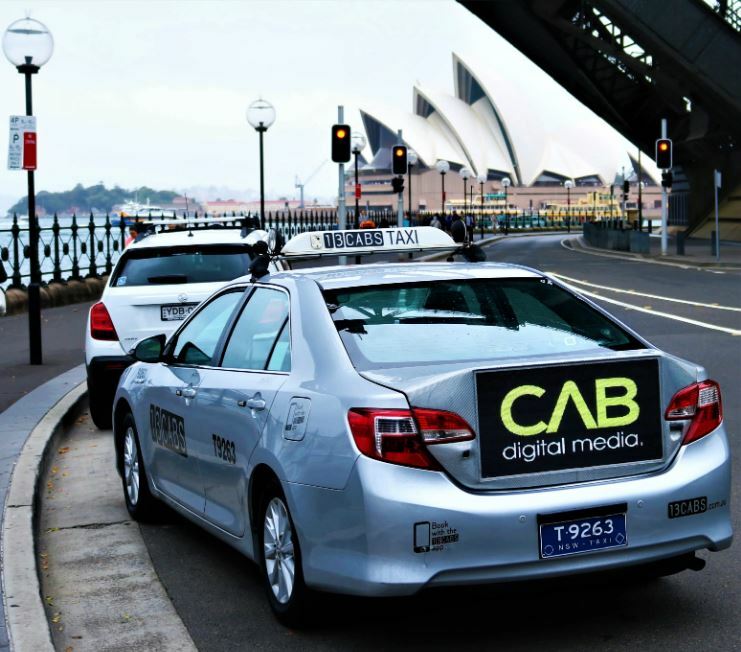 This vehicle will be very suitable if you intend to tour around the city, the cost is also very cheap. 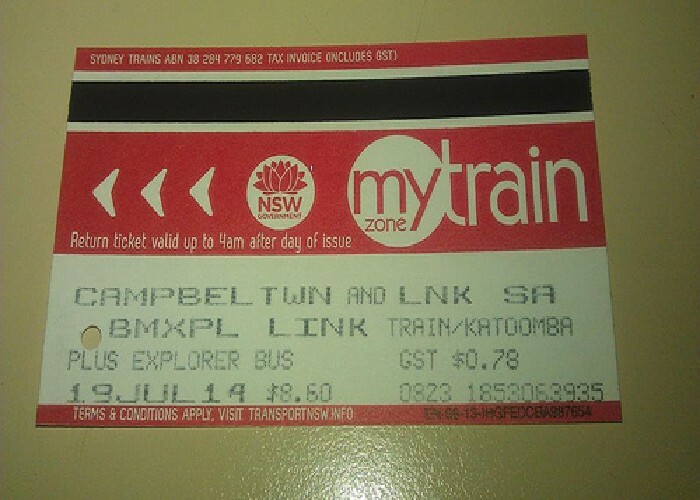 With the bus, only “multiple times” tickets (10 times) are magnetic cards, one-time tickets (cheaper than 1/2 train tickets) are only small pieces of paper that cannot be reused. Bus stops at many points, easy to get stuck in traffic. 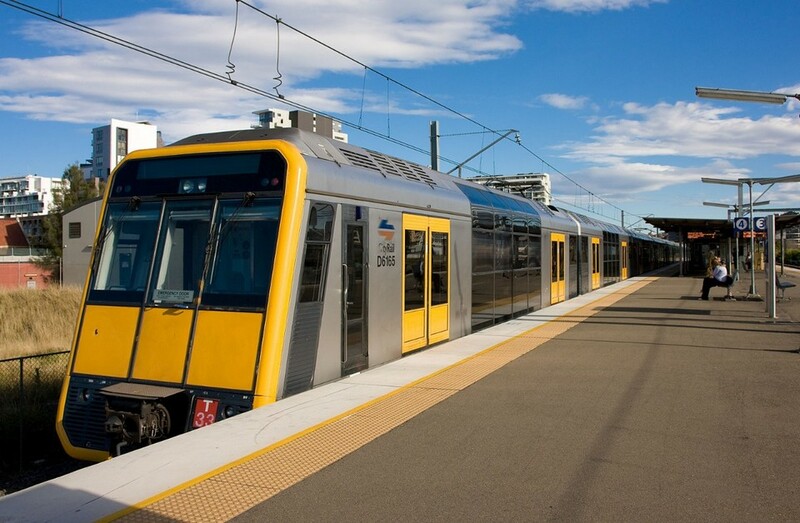 Note: The FireFly Express Coach station in Sydney is located near the train station (downtown), just walking 5 minutes is to the ticket counter, from there you can catch the subway to Sydney airport (pretty fast, 20 minutes ) or anywhere you want. 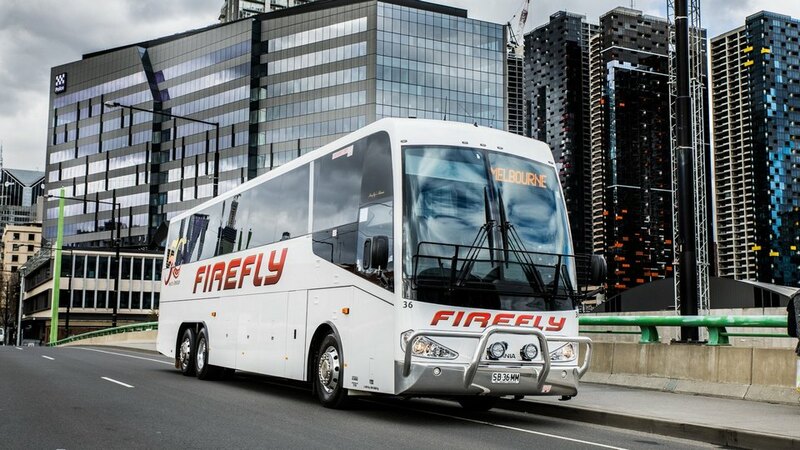 FireFly Express Coach – Luxury Coach Travel in Sydney. 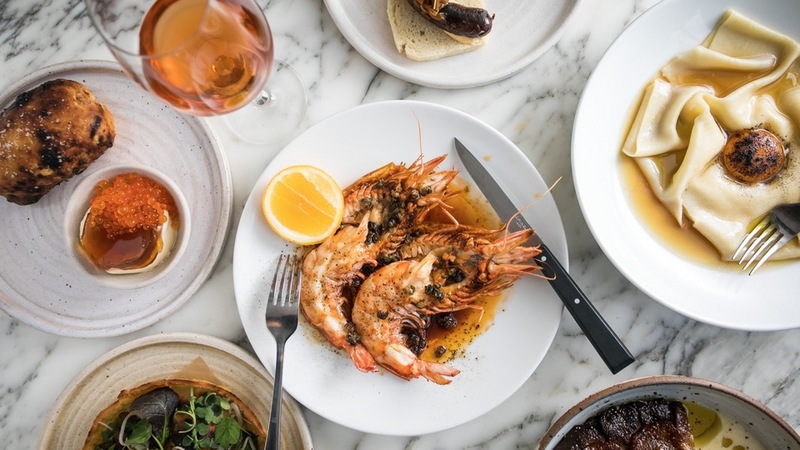 Picture: sydney city guide blog. 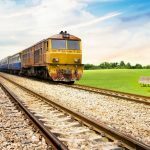 Train: The train network here is very dense, connecting the points of city and towns together, if visitors want to explore places far away geographically, this will be a best means. The train tickets are quite expensive, divided into different types for each distance away from different regions. 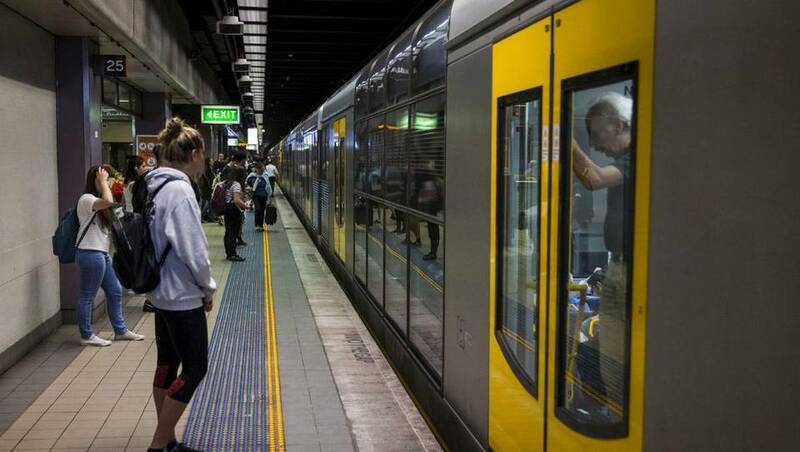 Do not take a “pirated” train because you may be fined AU$200 (US$143.71). 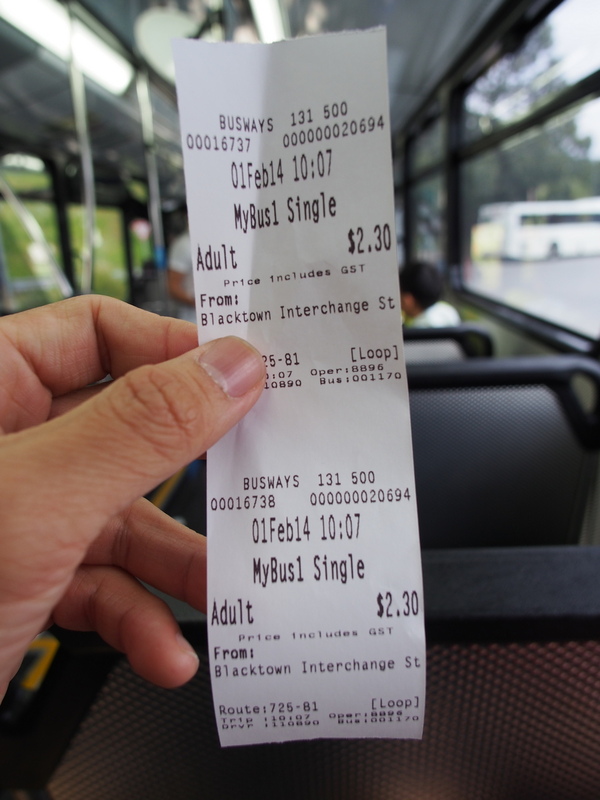 If you use public transport, you should buy a My Zone Multi Passes by week, month, quarter or year to save costs when traveling in Sydney. 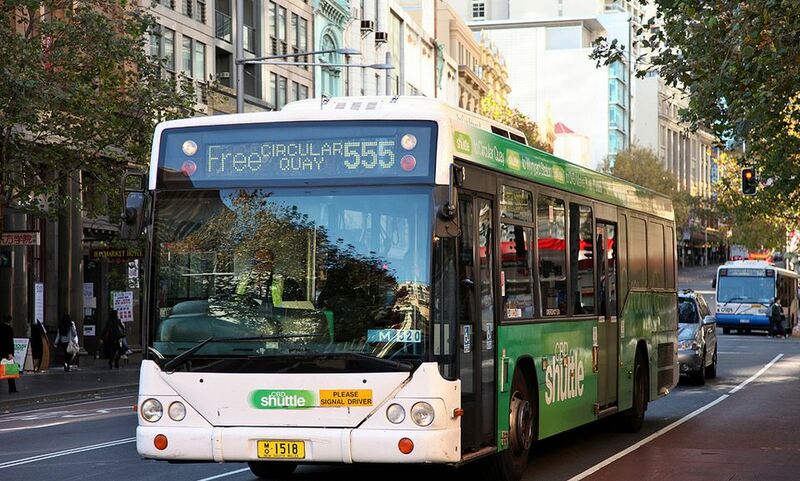 These passes allows you to use unlimited buses, trains and ferries in the city and suburbs. 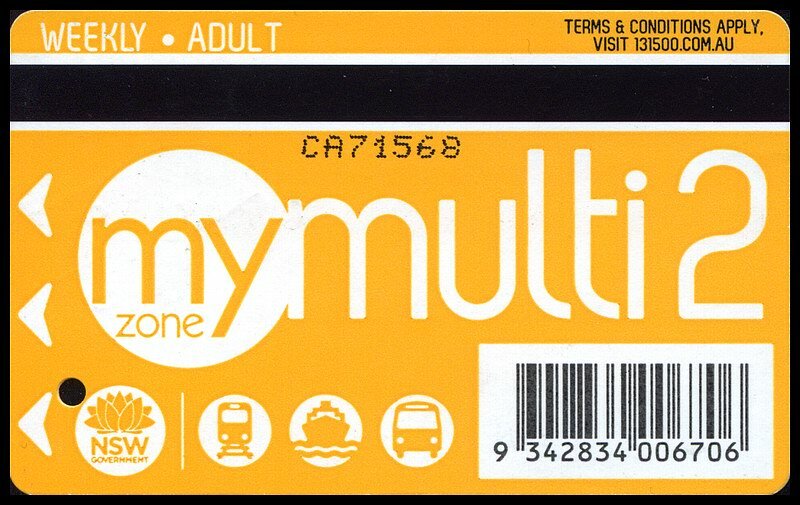 Or you can buy your own My Zone Multi Passes for buses or trains, even ferries. These passes are charged according to place you come and go. 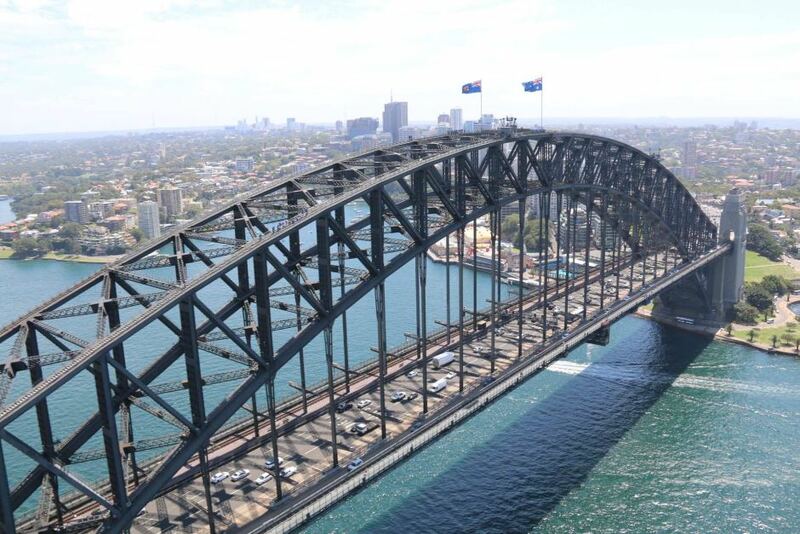 To find out the destinations and passes you can visit http://www.transportnsw.info. 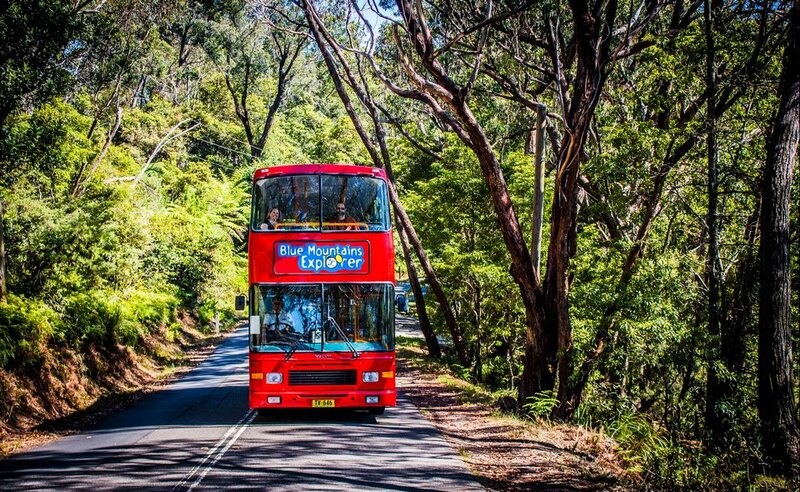 Blue Mountains Explorer Bus. 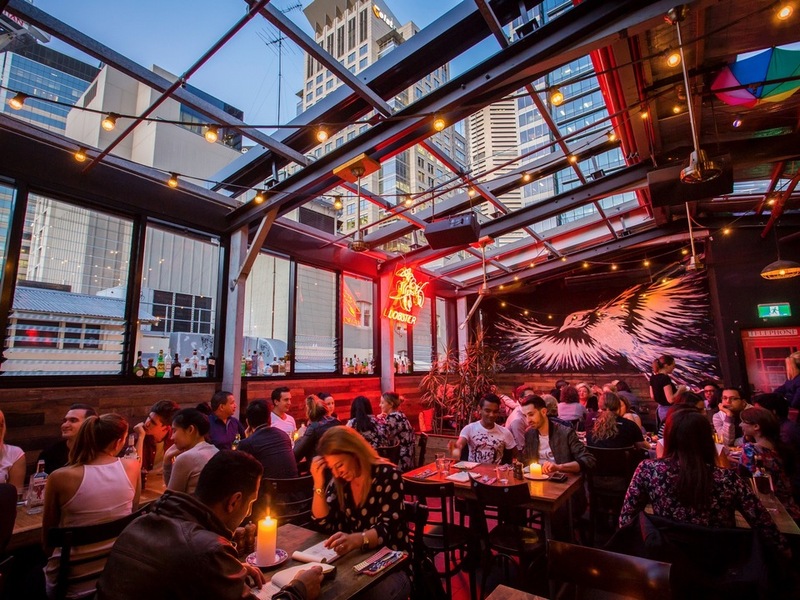 Picture: sydney city guide blog. 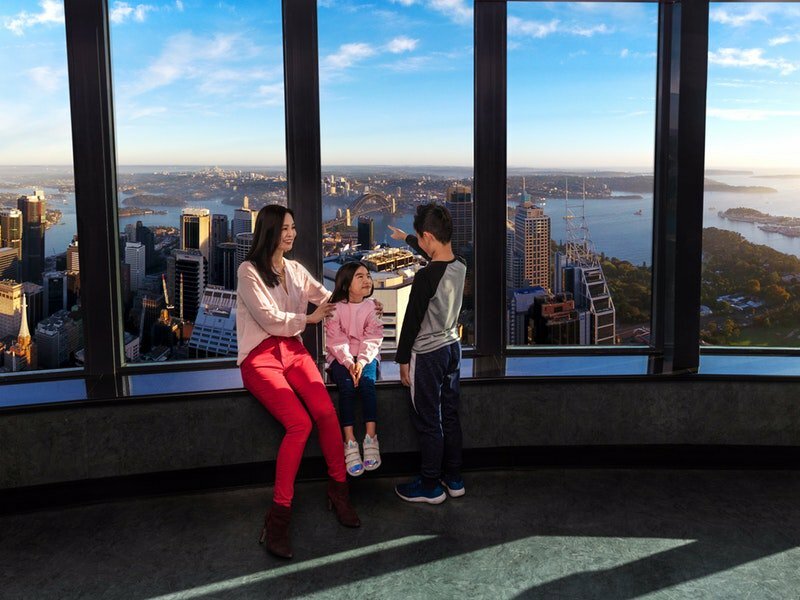 Family Funday Sunday Pass for $2.50 per person, family you can enjoy unlimited travel all Sundays in Sydney to the Blue Mountains, the Central Coast, Hunter and the Illawarra region. Going around in the city you just need the Mymulti 1 or Mymulti 2 card to be Ok.
Free bus (blue): Sydney has a free shuttle bus in Sydney CBD central, Parramatta and Wollongong (Number of Sydney CBD shuttle routes are 555) that run every 10 minutes on a round trip from Central Station to Circular Quay to Elizabeth and George Street. 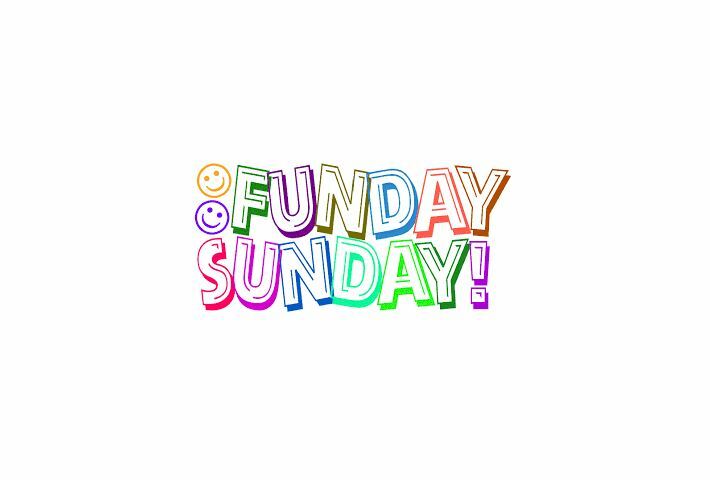 Operating from Monday-Wednesday from 9am-3:30pm; Thursday-Sunday from 9:30am to 6pm. 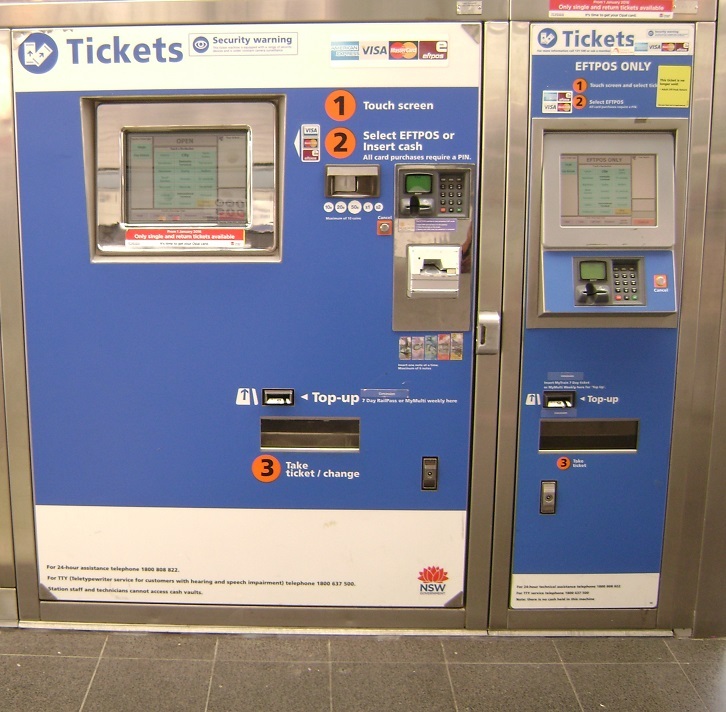 Note: The entire tickets are automatic tickets that you can buy them at the automatic machines at ticket counters. 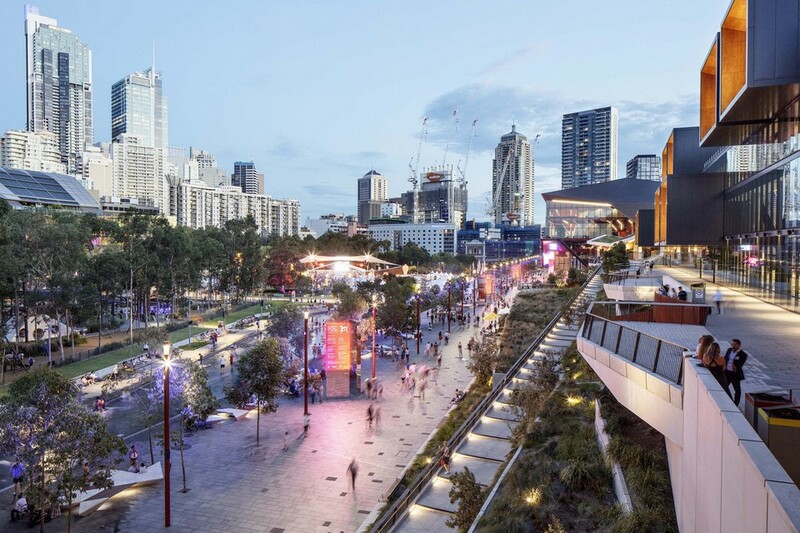 In addition, if you go in a group, you can hire a self-driving car at a cost not too high to conveniently move and be proactive in time, and rent a bicycle with tourist destinations with short distances. 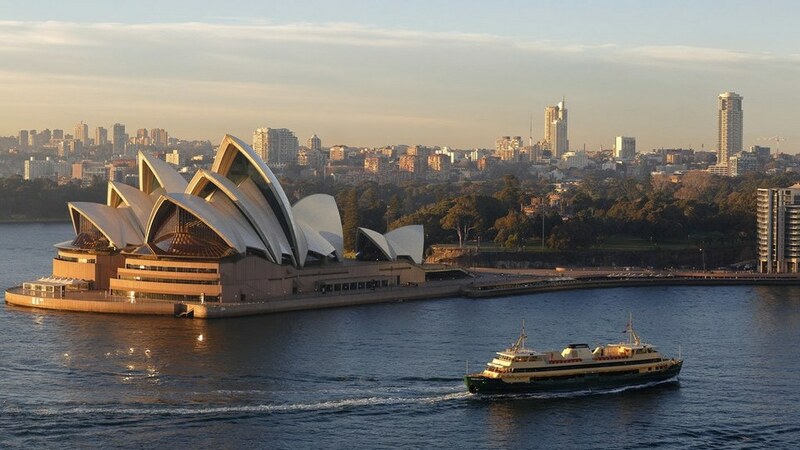 In addition, when traveling to islands and seas, ferries and boats will be the necessary means for you to explore. 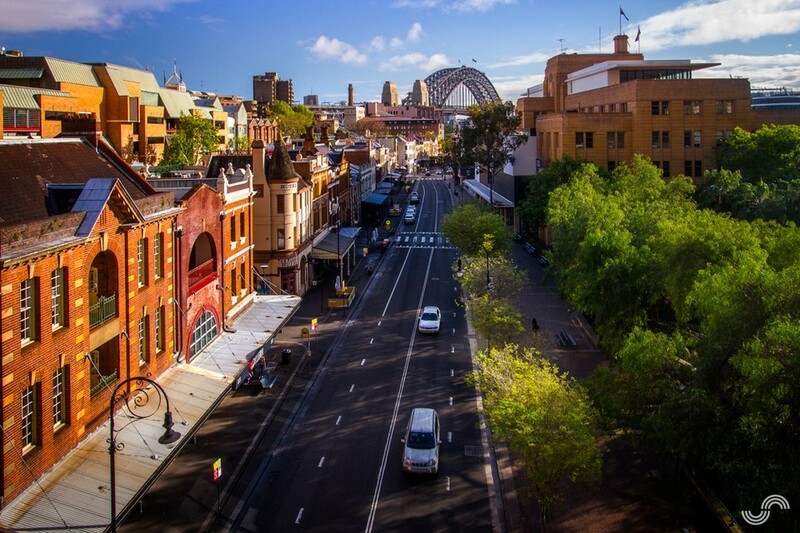 If you have good financial health, you can take taxis, rent cars, motorcycles, or bicycles to getting around Sydney. 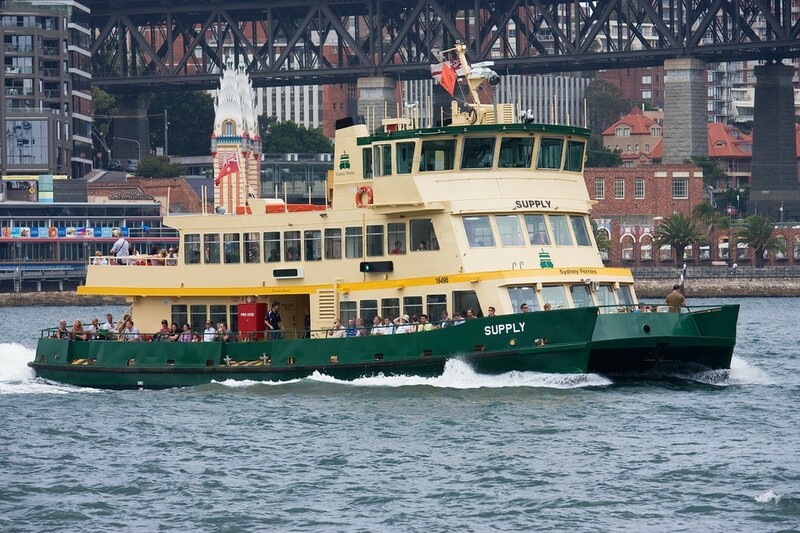 Sydney Harbour Ferry. 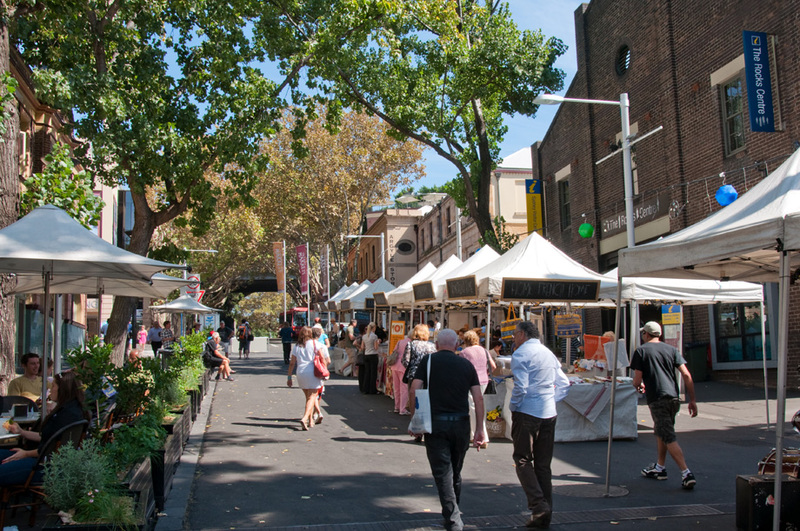 Picture: sydney city guide blog. 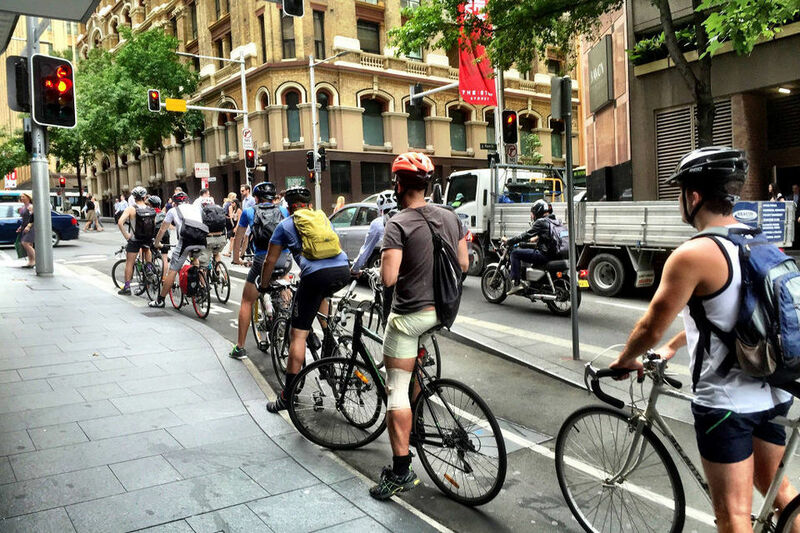 Cycling is an interesting experience in Sydney. 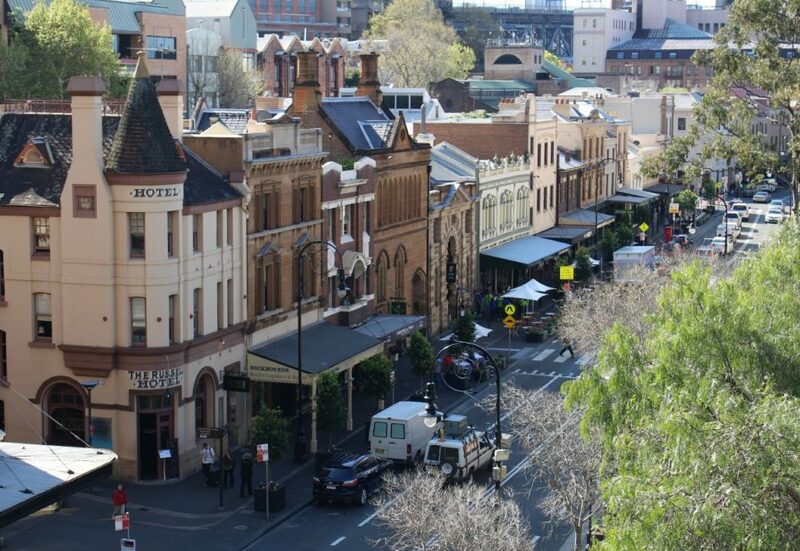 Sydney travel blog: Where to stay in Sydney? 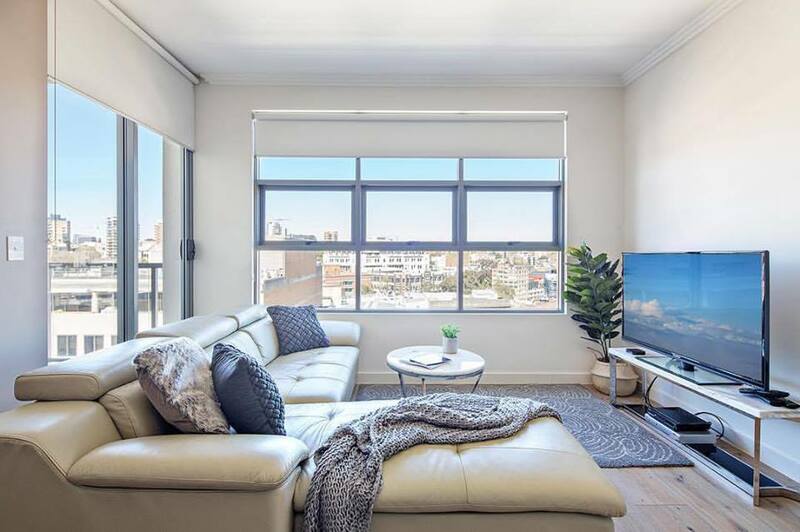 Most of hotels in Sydney are very beautiful, even if it is a dorm or a cheap hostel, it has the most basic facilities such as air conditioner, TV, Wifi, hot and cold water, private kitchen if you want to self cooking, cafe room …. 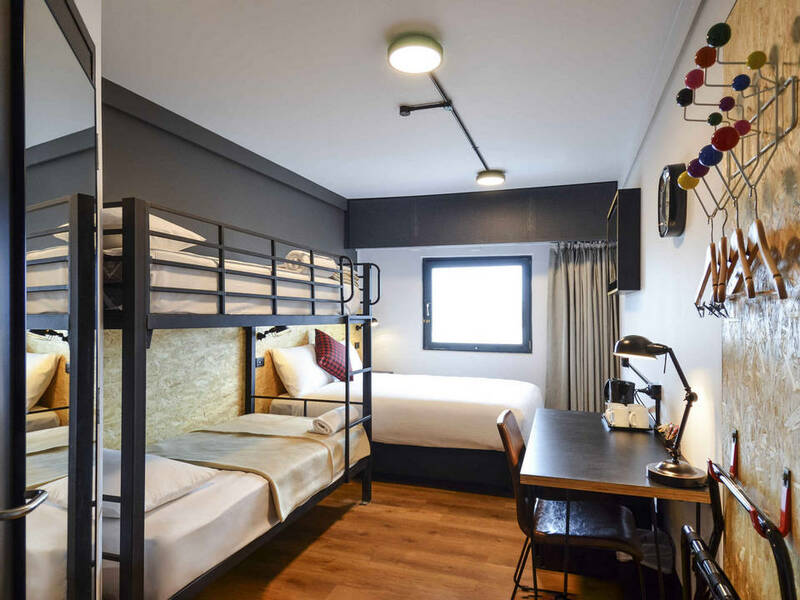 And the price depends on the type of accommodation you choose, usually the room rate per night of a high-class hotel will range from $150.83 – $215.48; The mid range hotel is from $34.69 – $64.64 and the budget hotel is from $17.24 – $25.86. 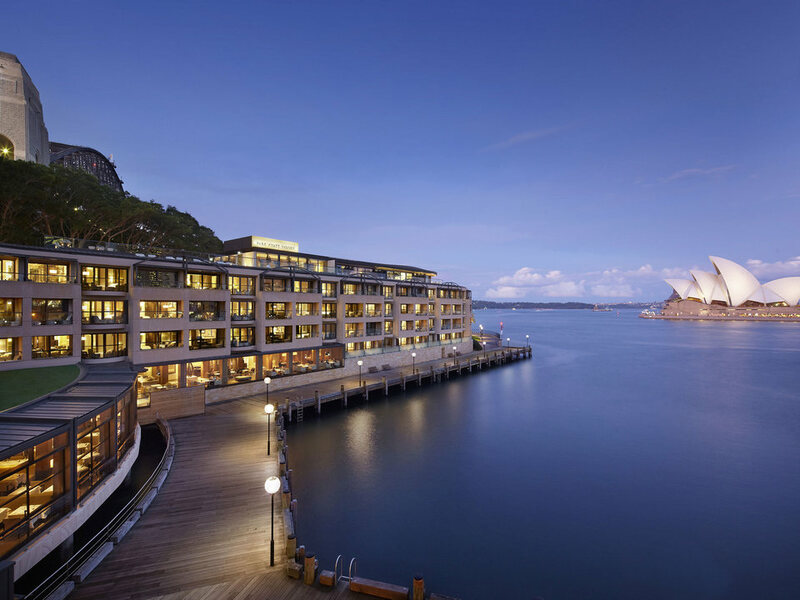 The following is a list of some quality hotels in Sydney. 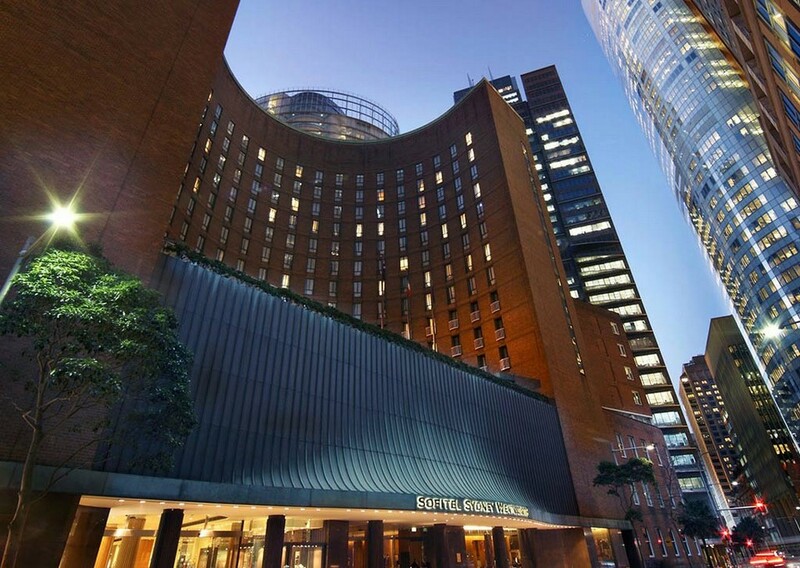 This is a luxury hotel in Sydney, located in a prime location to feel Sydney and beautiful places around this area. 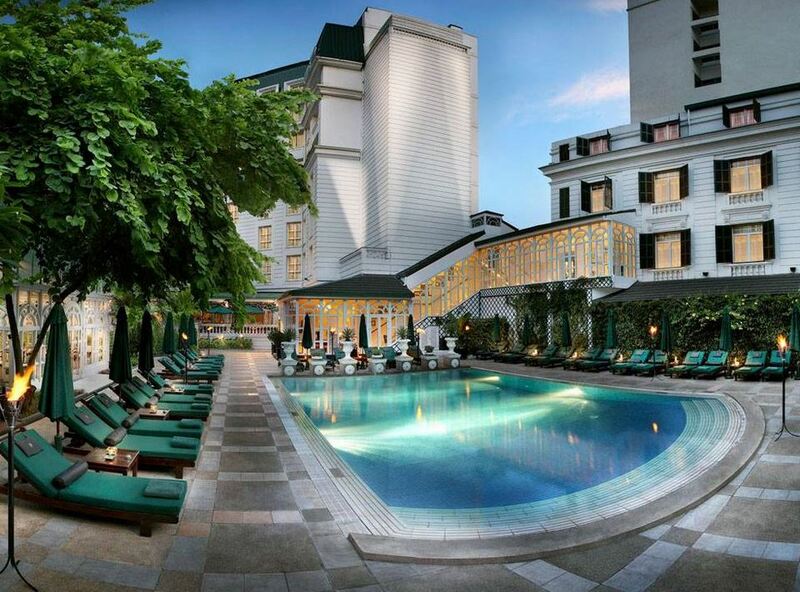 The hotel has an delicate and elegant design that creates a great sense of relaxation for those who enjoy it. 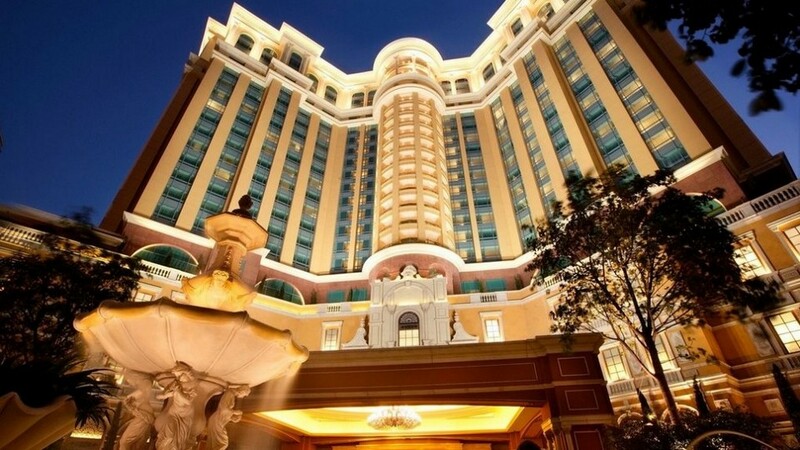 In addition, the hotel also has famous chefs processing many delicious European-Asian style dishes. 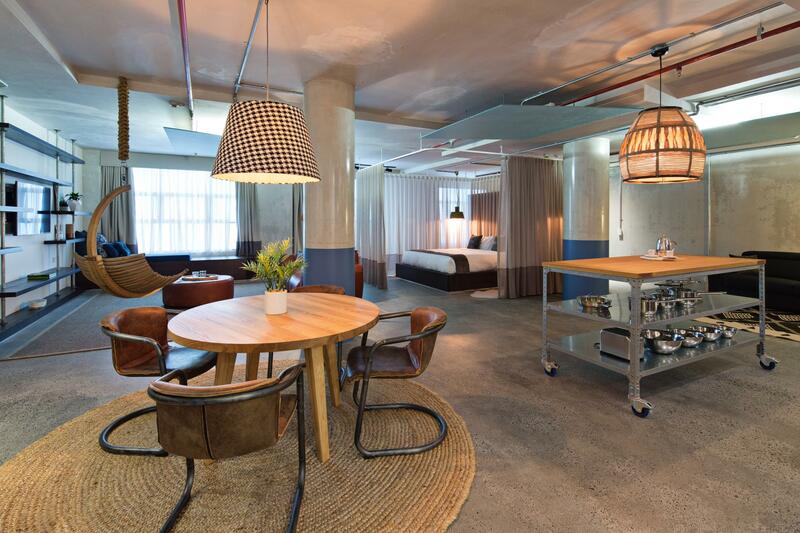 Perfectly services, room rates range from $373 – $562. 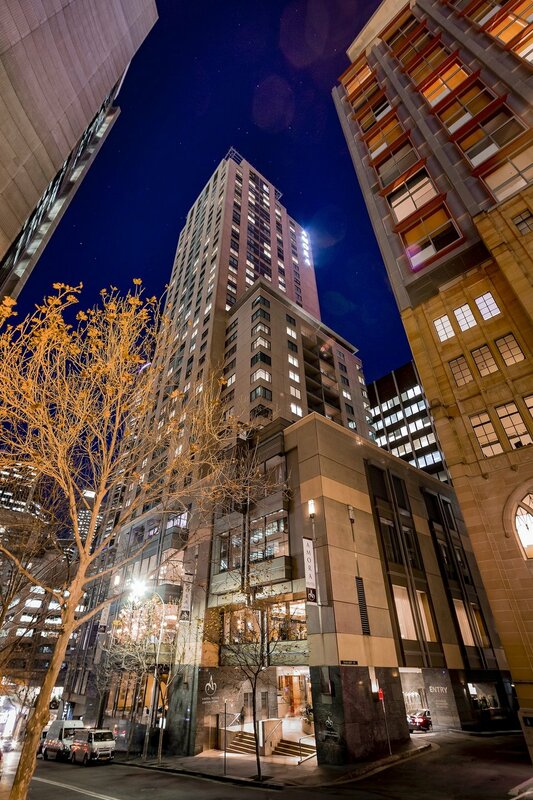 Another luxury hotel in Sydney located right in the city center, convenient for moving to beautiful tourist destinations in Sydney. 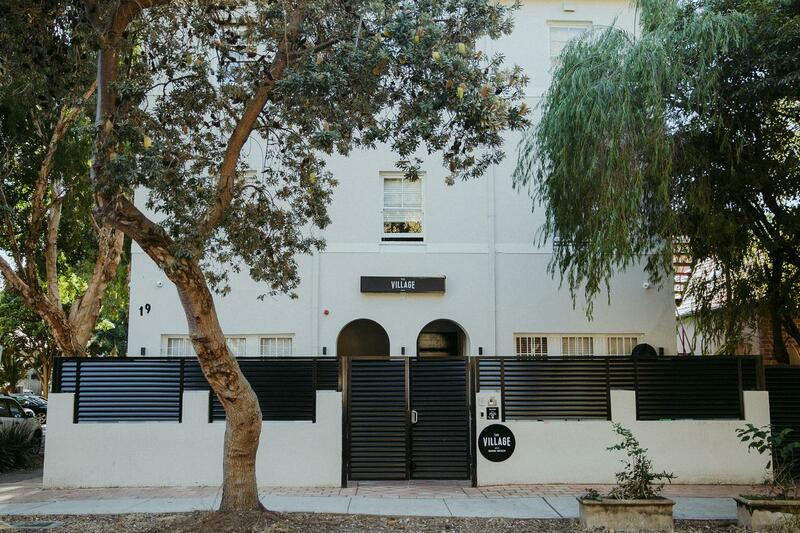 The hotel has more than 500 rooms with many different prices, room rates from $248, rooms with beautiful design, delicate, and modern furniture are arranged neatly, bringing relaxing moments interesting for visitors. 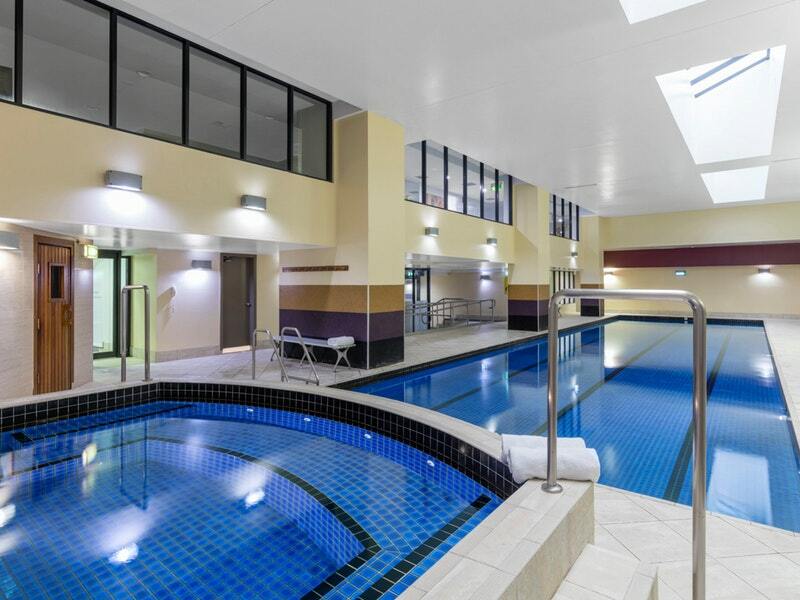 The hotel is conveniently located for moving around the city as well as the famous tourist attractions here. 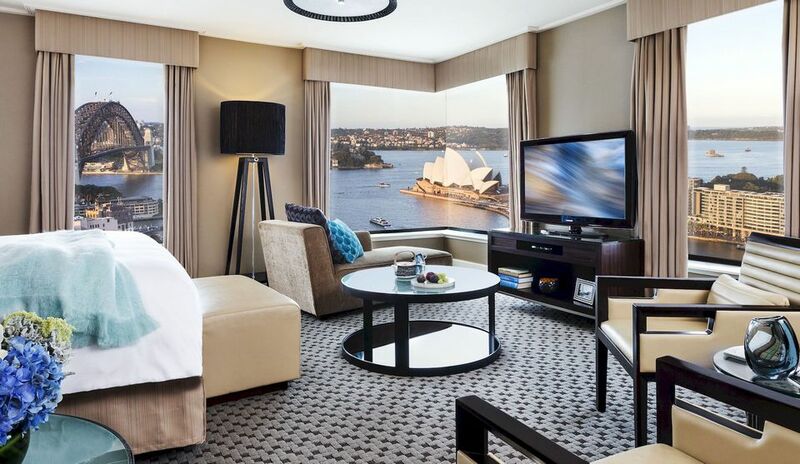 The room rates ranging from $233 – $322, is considered the paradise of leisure in Sydney, the hotel services serving 24/7, with professional service, beautiful rooms, quality, the views of the city quite unique, attractive. 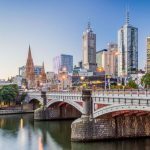 From the hotel you can walk to Philip Church, Austrian Consulate General, Wynyard Park easily, because the hotel is located on a favorable street. 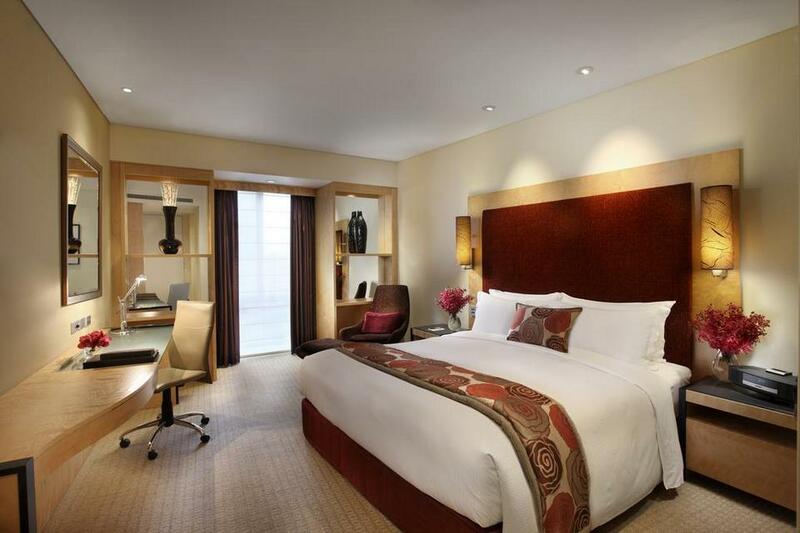 The rooms here are beautifully arranged, neat and scientific, the room price is only from $220. 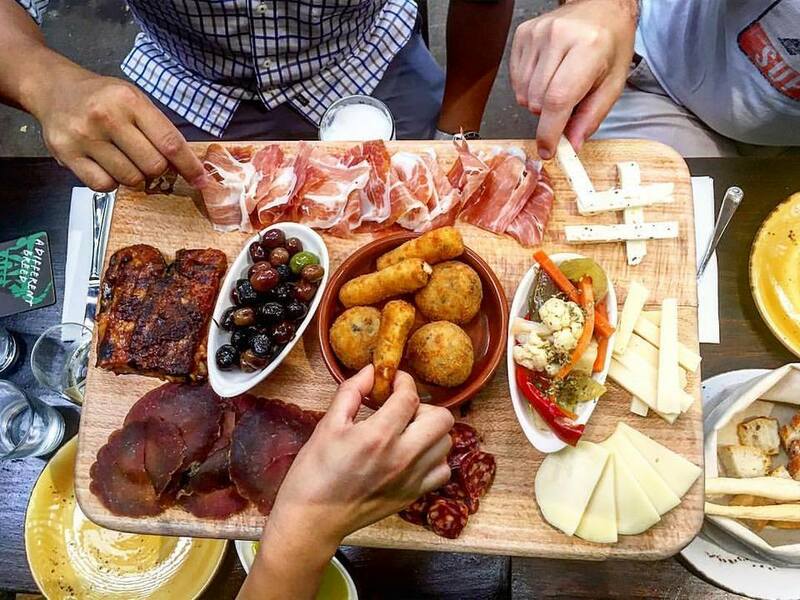 Food in the hotel is quite good, reasonable price, you can rest assured to eat at the hotel. 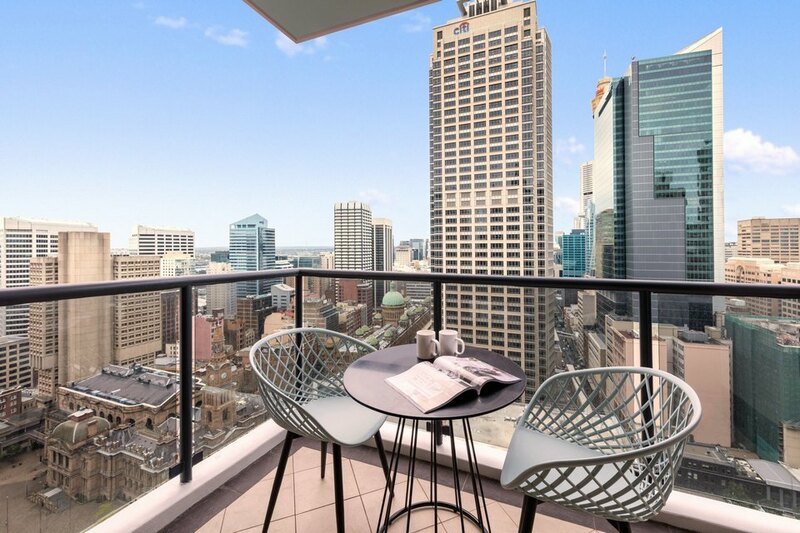 A high quality hotel in Sydney, with room rates from $200, is a hotel with beautiful furniture, modern, unique architecture and delicate. 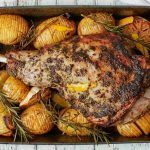 The staff in the hotel is enthusiastic, friendly, the food here is also very delicious and suits for many guests’ tastes. 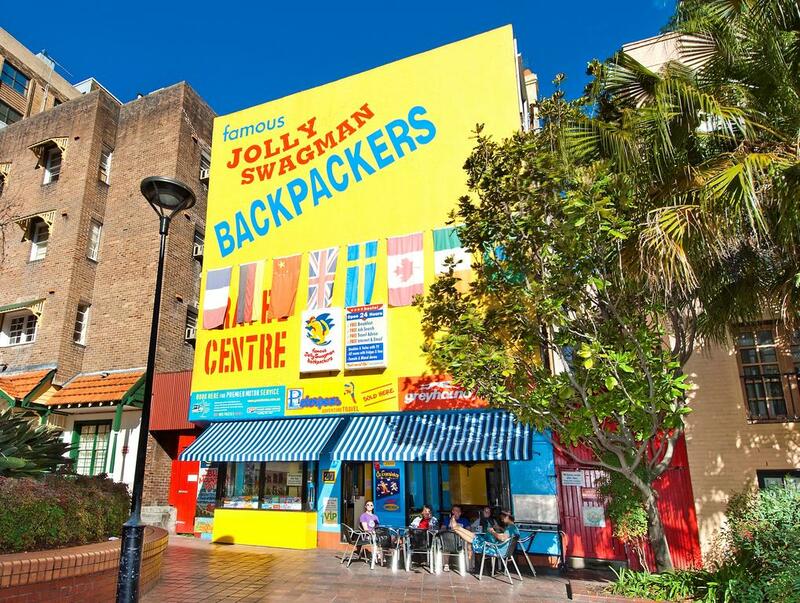 + The Village Bondi Beach (Formerly Lamrock Lodge Backpackers on Bondi Beach): (Address: 19 Lamrock Ave, Bondi Beach NSW 2026, Australia / Phone: +61 2 9130 5063). Room rate is about $21.55 / night. 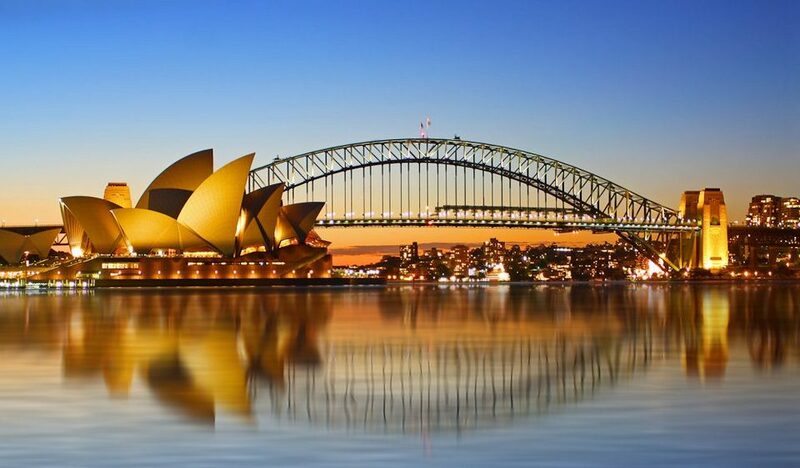 Visitors traveling to Sydney definitely cannot ignore the famous Sydney Opera House. 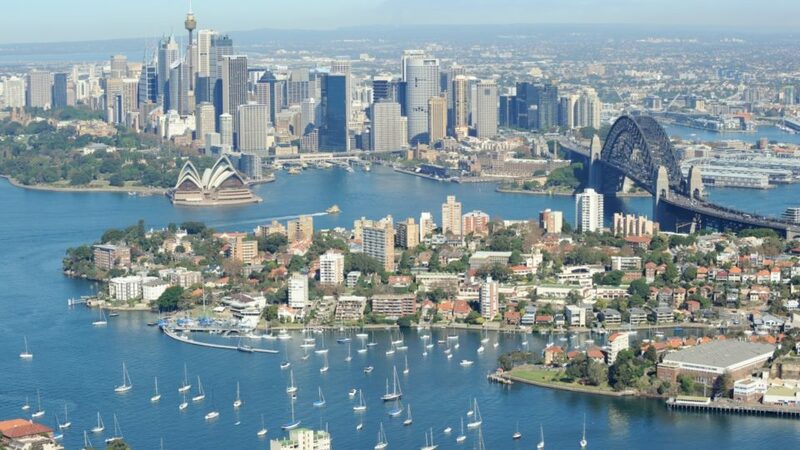 With a extremely unique shape, this place is the pride not only of this port city but also of Australia. 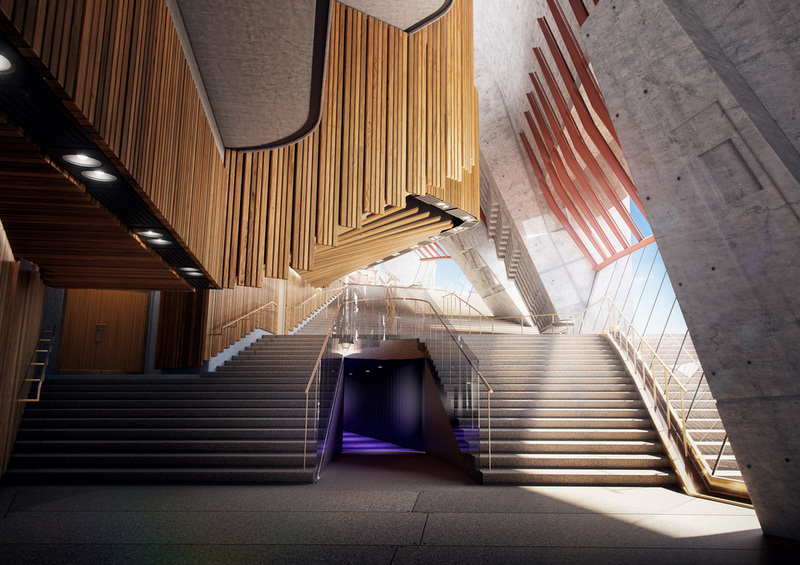 Looking at the outstanding architecture of the theater, many people will immediately think of the oysters that are stacked on top of each other or the white sails that wind up to the sea. 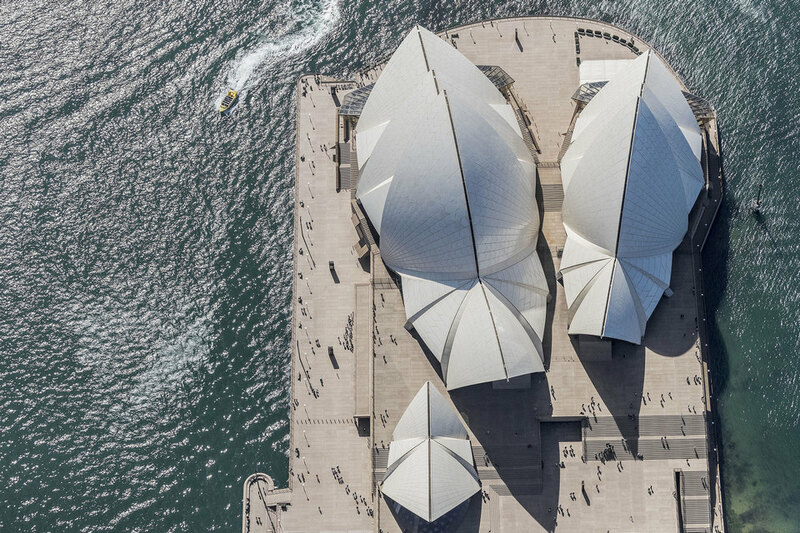 The Sydney Opera House is a complex building consisting of 5 theater zones, 5 rehearsal studios, 2 main halls and 4 restaurants, 6 bars and some of souvenir shops. 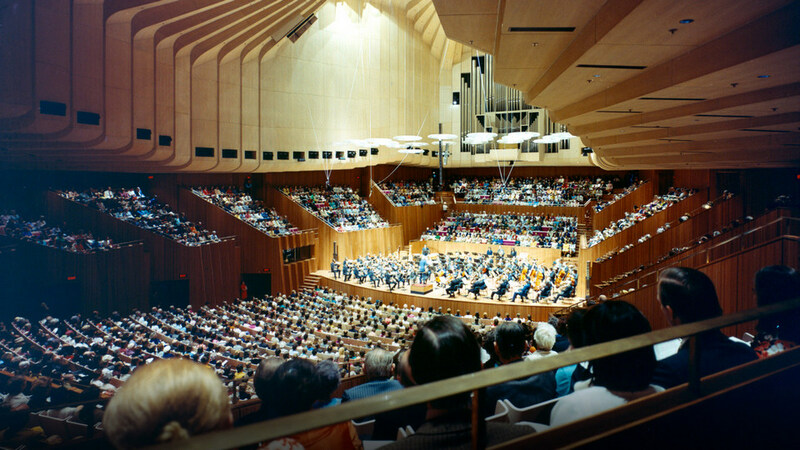 Since it was built in 1959, it still regularly hosts performances, prestigious concerts and welcomes millions of visitors each year. 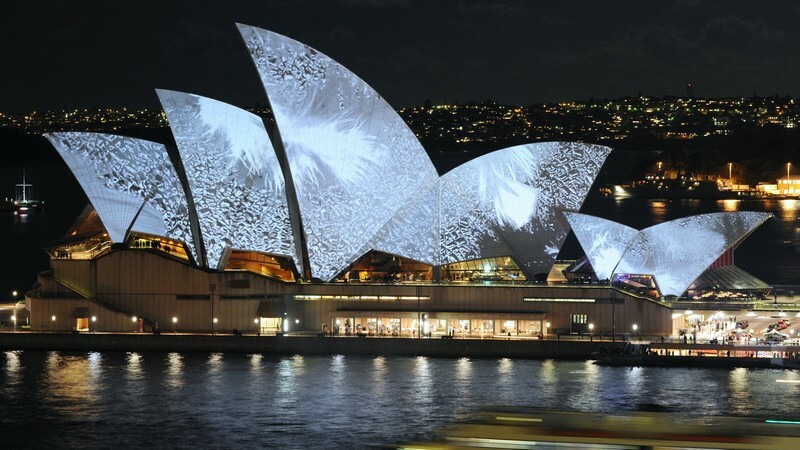 The Opera House and Sydney Harbour in the background. Of course you can only tour around the theater. 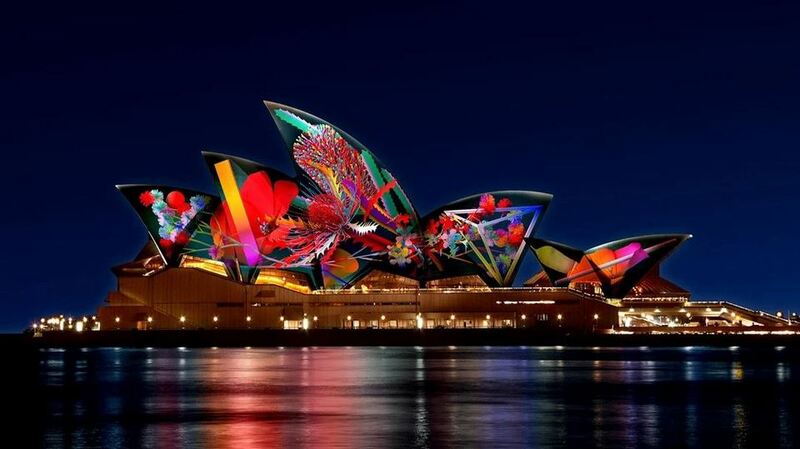 If you want to go inside or enjoy performances or admire artworks, it will be very expensive. 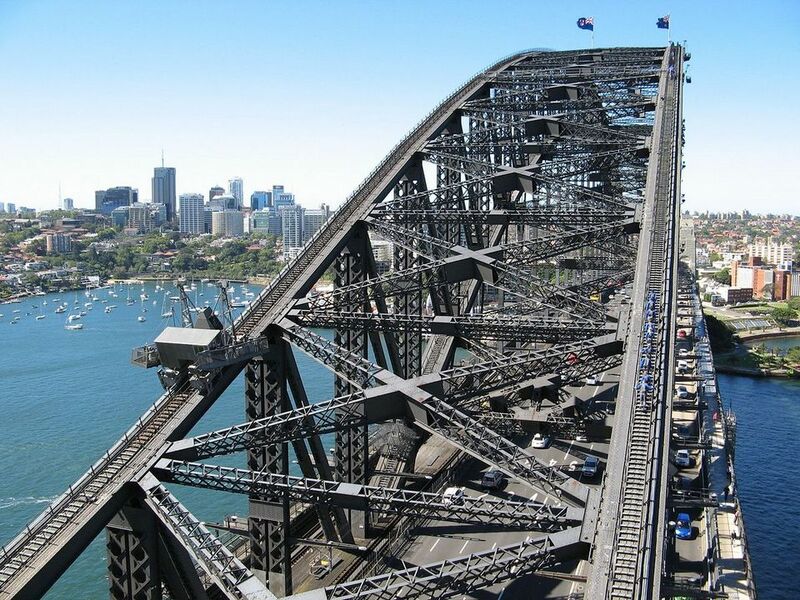 Established in 1932, Sydney Harbour Bridge has a dome design and is one of the largest steel bridges in the world. This bridge connects the center and the northern area of the city, has railroads for trains and lanes for cars, bicycles and pedestrians. 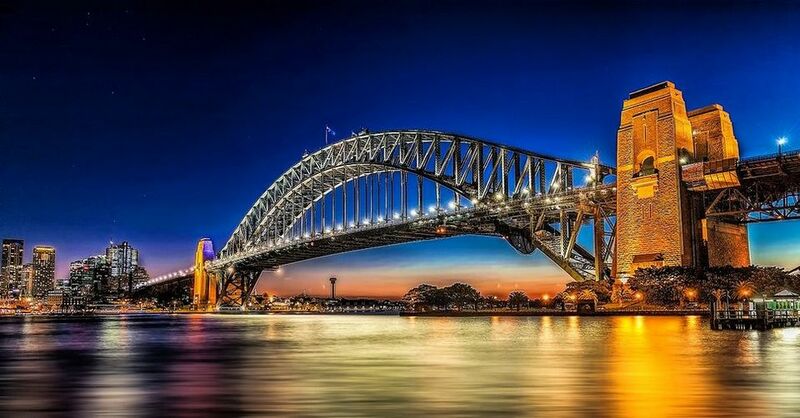 In addition, this bridge is also listed in the list of the most romantic bridges on the planet because it is a testament to many marriage proposals and weddings of lovers. 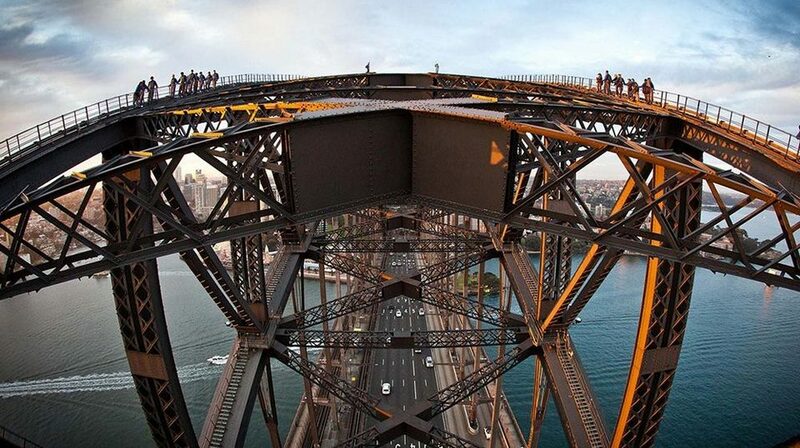 One of the largest steel bridges in the world. 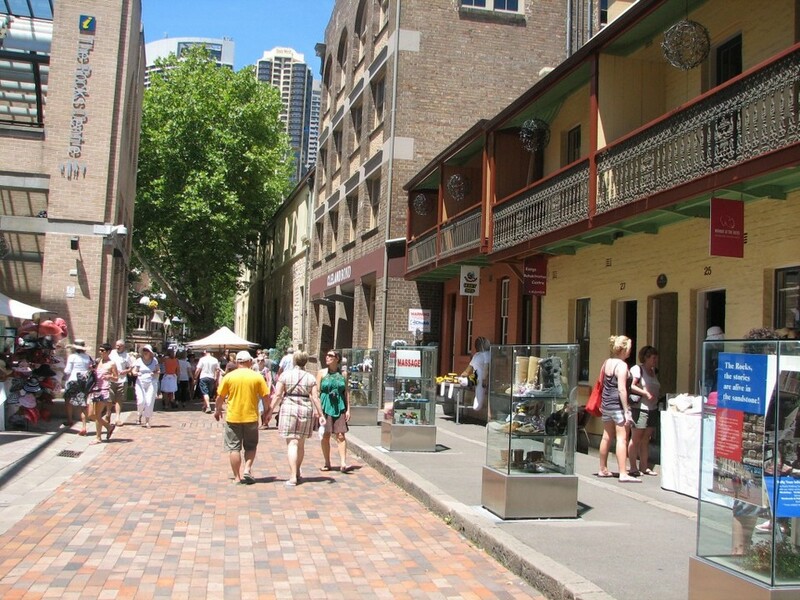 Picture: sydney australia travel blog. 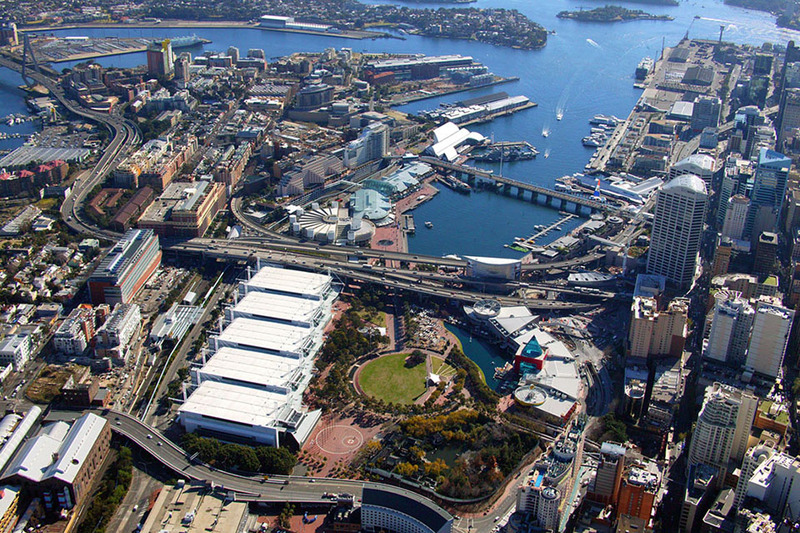 Darling Harbour is a harbor adjacent to Sydney city center. 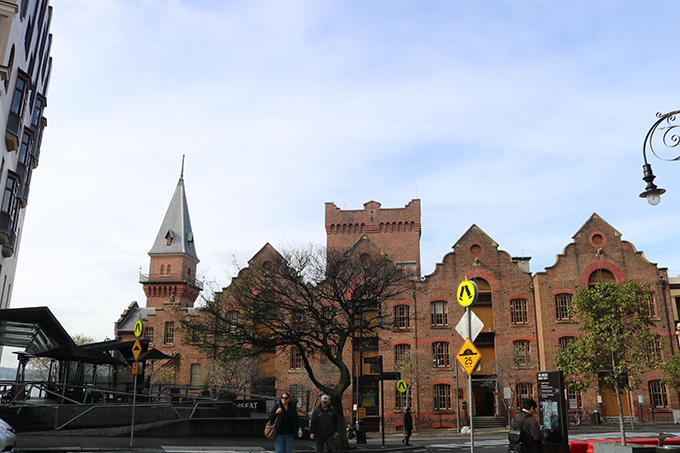 This area was built from an old railway station platform and an abandoned dock in 1988. 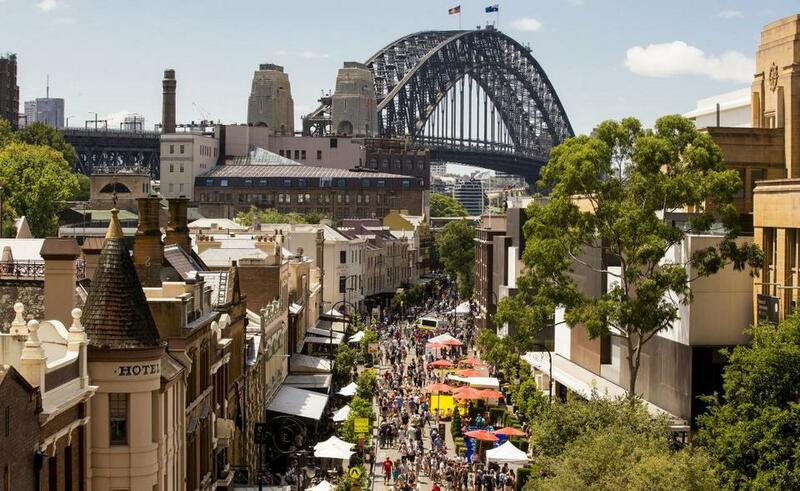 Currently, this is a bustling harbor combined with the most famous commercial, entertainment, and dining areas in Sydney. 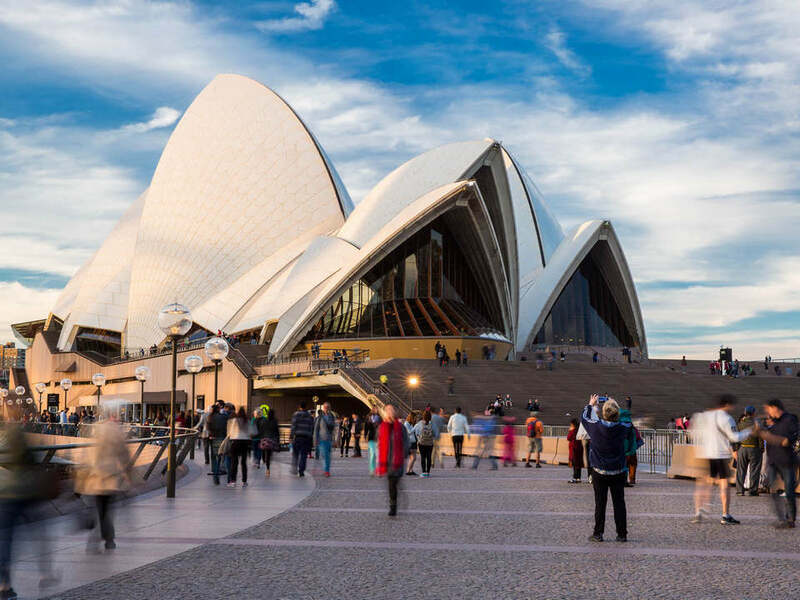 There are many options to explore, such as the zoo, the aquarium, the Madame Tussauds museum and the cafes and restaurants. 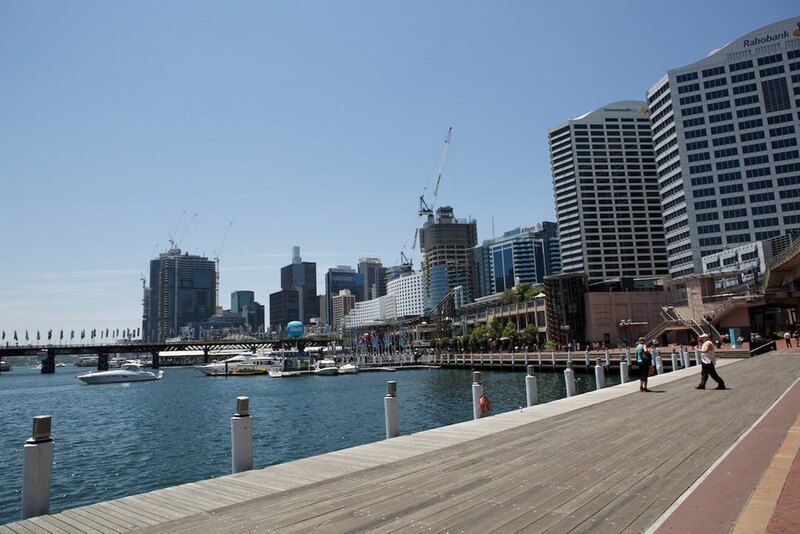 On sunny days, you can walk through the one-kilometer Pyrmont Bridge and take in the view of all the surrounding high-rise buildings or commercial activities taking place in the port. 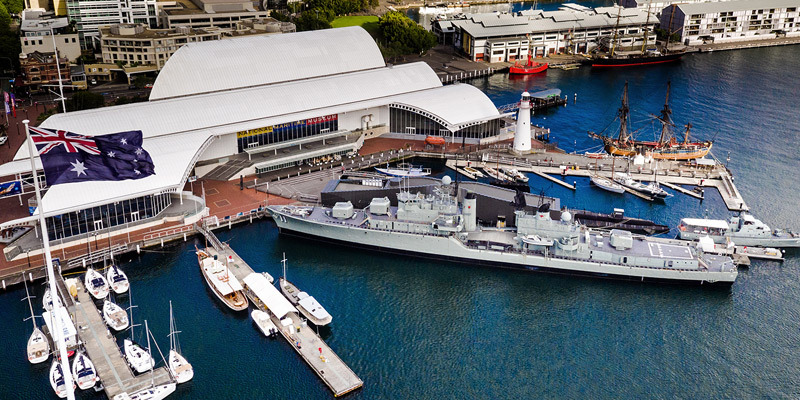 One of the free attractions is the Australian National Marine Museum, which is rated as one of the 10 most interesting museums in the world. 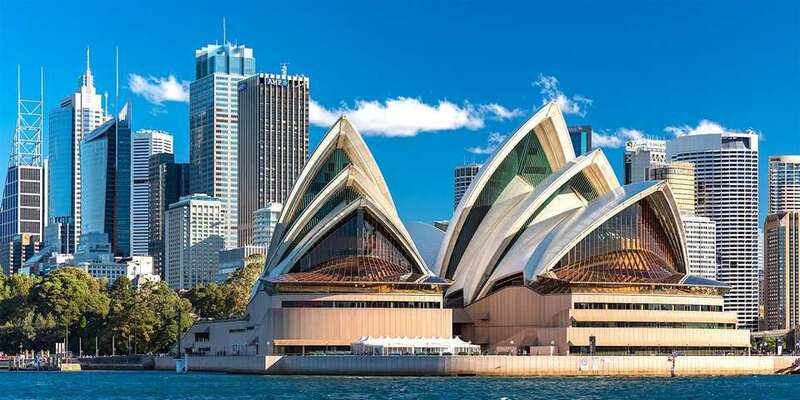 Visiting this museum, you should spend about one to two hours to visit and learn about Australian history, marine resources, military activities on the sea and the relationship between Australia and the United States. Moreover, you can buy tickets to visit the three ships outside the wharf. 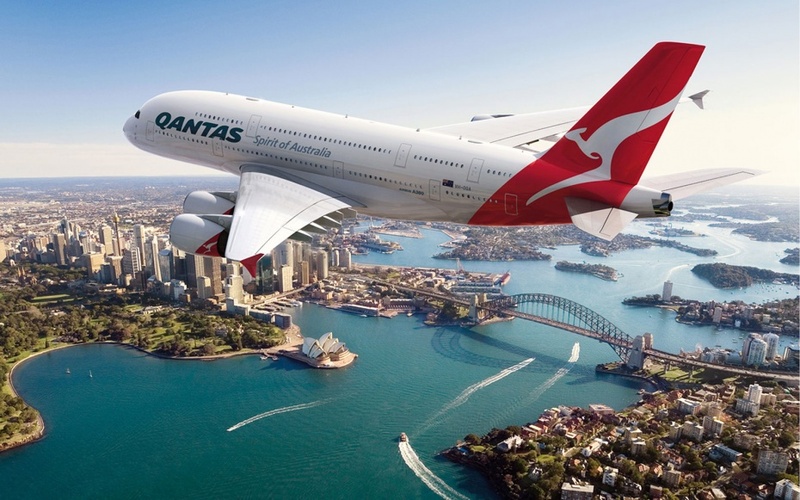 Especially, when arrival Sydney city airport, do not forget to take the Sydney tourist guide book which is distributed for free, because behind has the coupon 20% discount for many attractions include: three ships outside the port and Sydney Tower Eye, where you can see the whole city from above. 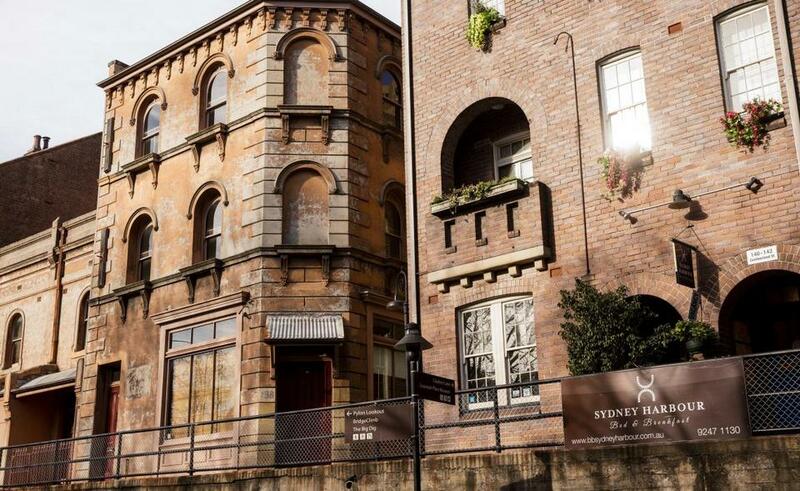 The Rocks is a neighborhood with many historical values with ancient houses built entirely of sandstone since the 18th century, still preserved intact. 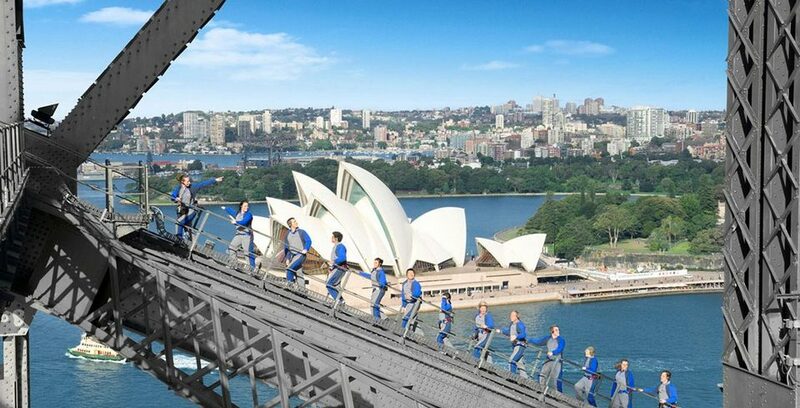 Since the 1930s, it is planned to become one of the highlights that must be visited whenever traveling to Sydney.